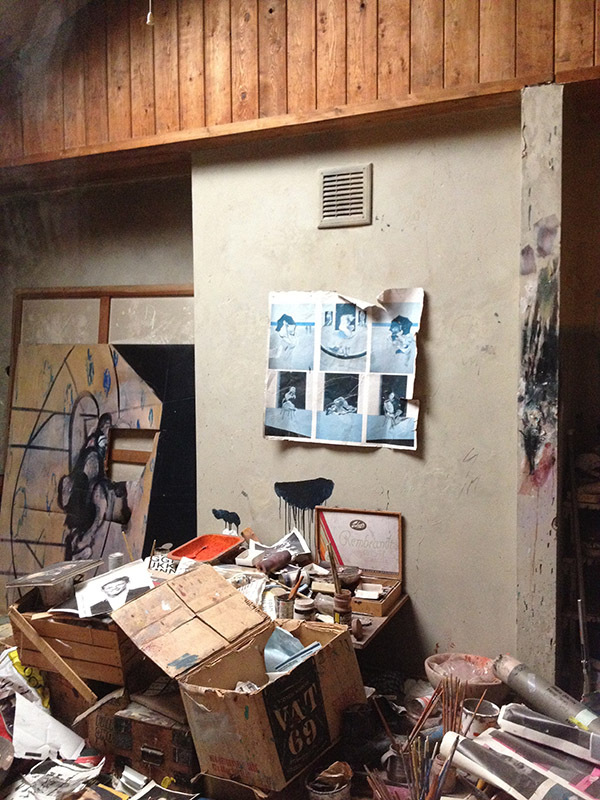 We had the opportunity to see Francis Bacon’s reconstructed painting studio in Dublin a couple of years ago. 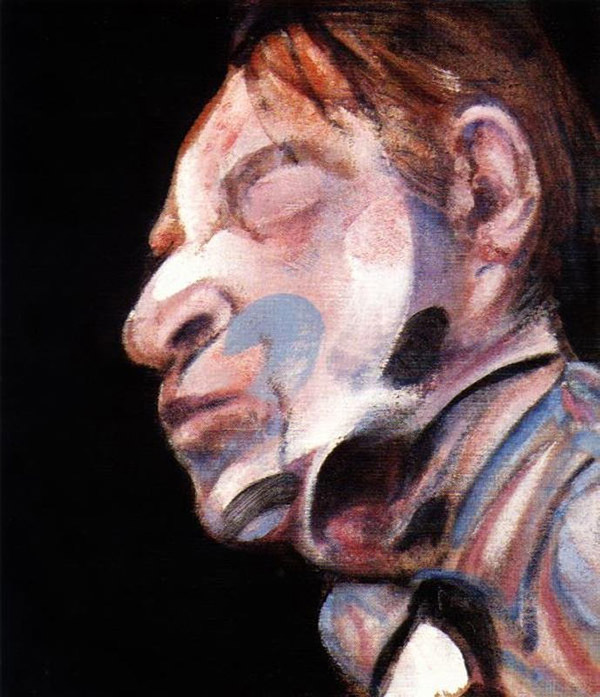 Francis Bacon was one of the leading figurative painters of the late twentieth century. 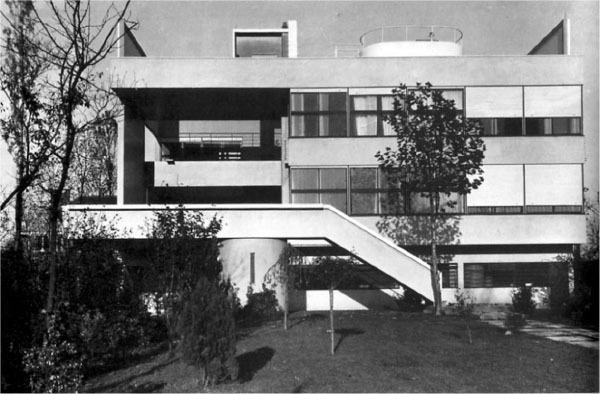 He lived and worked in 7 Reece Mews, South Kensington, London, from 1961 until his death in 1992. 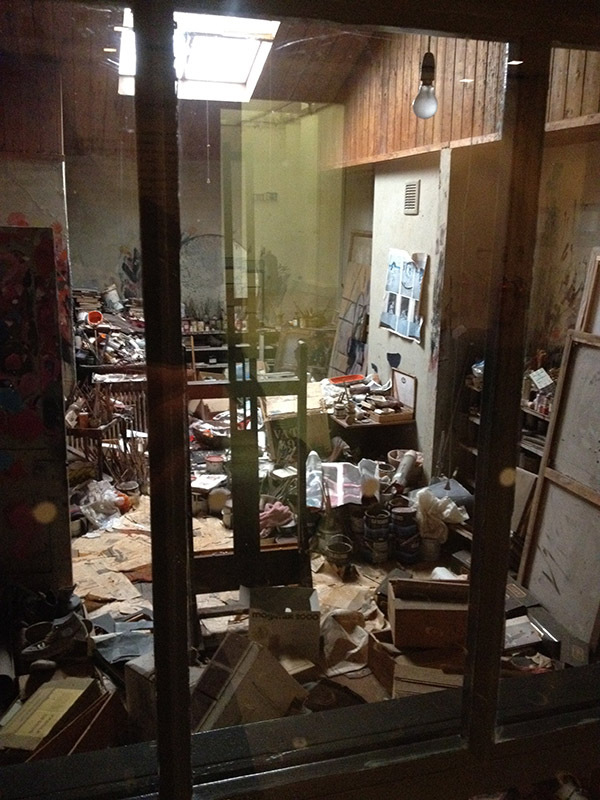 The studio with its heaps of torn photographs, fragments, of illustration and artists’ catalogues provided many of his visual sources. 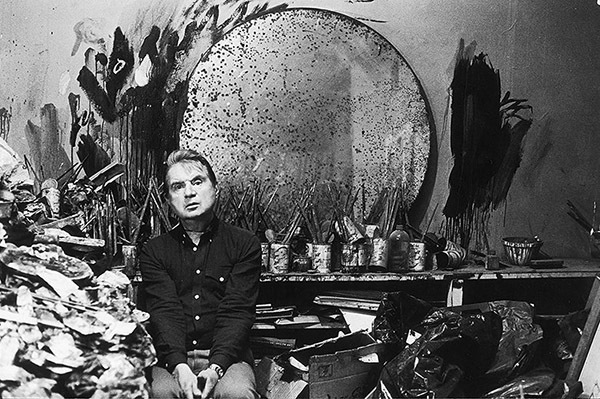 It’s documented that his studio became his complete visual works. 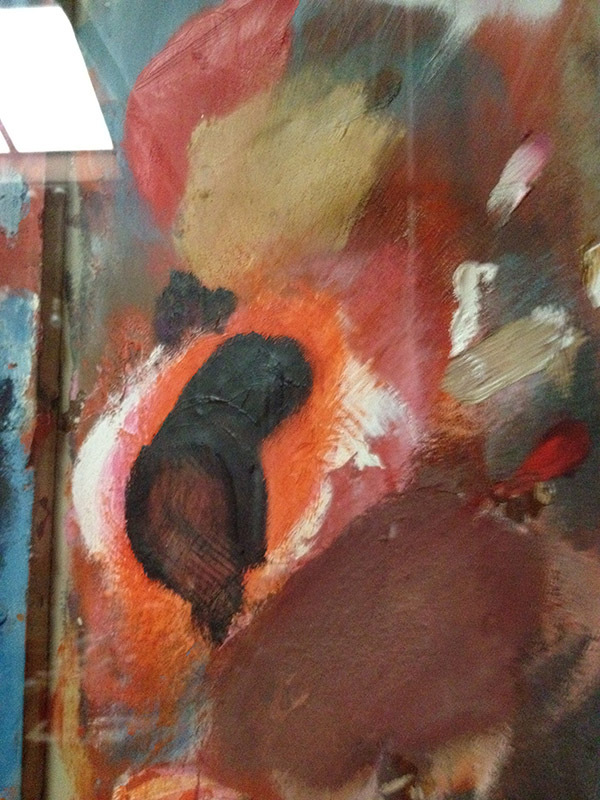 Apparently, Francis rarely painted from life. 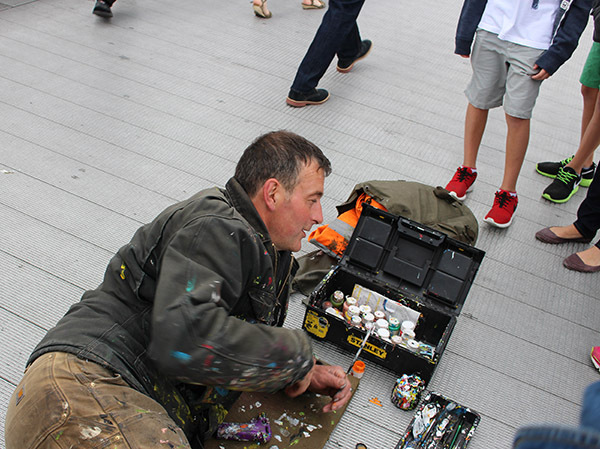 The dust was deliberately mixed into his paint. 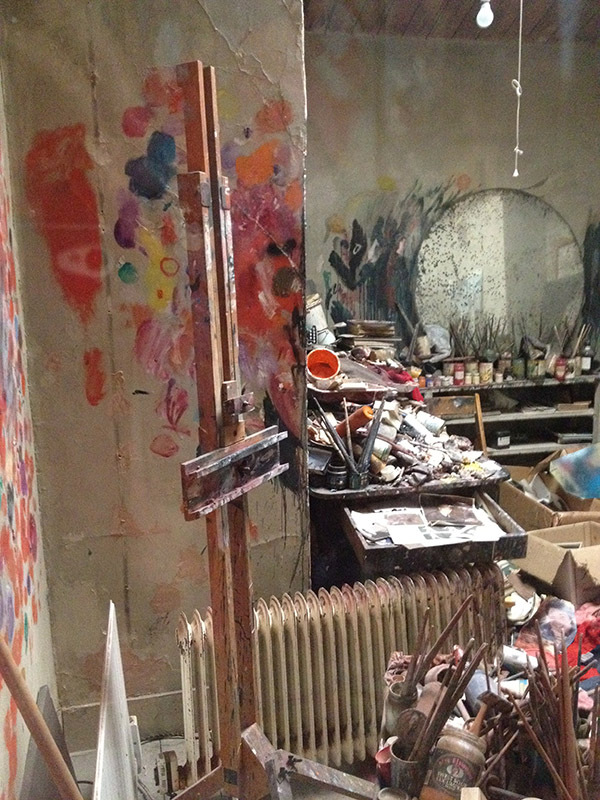 The studio was cluttered, paint splattered with thick layers of debris and toxic pigments. Which apparently exacerbated his acute asthma. 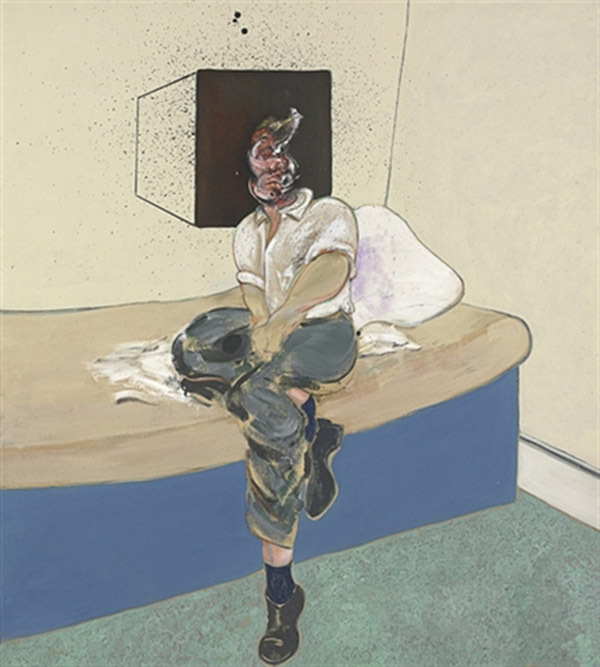 Francis Bacon’s entire London studio was transplanted and reassembled – every paintbrush and speck of dust, along with the walls and floorboards – to the Hugh Lane Gallery in Dublin, Ireland. 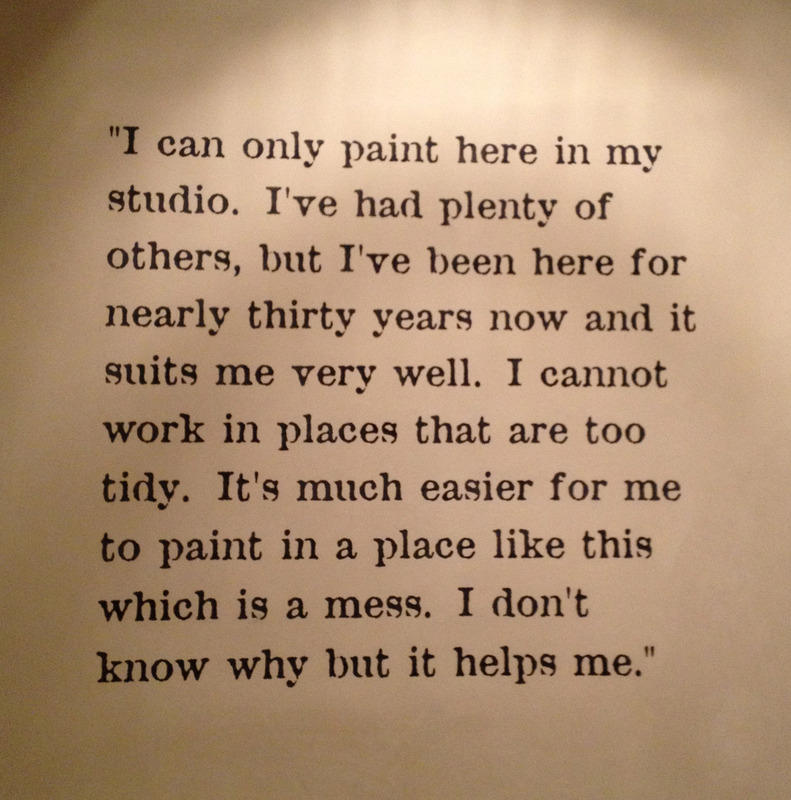 The studio took three years to reconstruct in a Dublin art gallery with every detail of the work-space faithfully re-created. 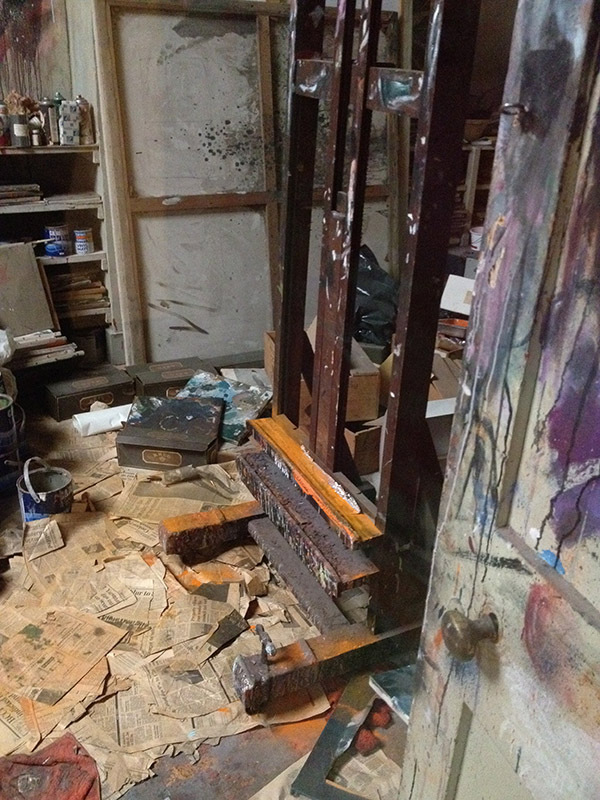 The studio was donated to the Hugh Lane Gallery in and a team of 10 archaeologists and conservators spent three years dismantling the room and its contents and transporting them across the Irish Sea. 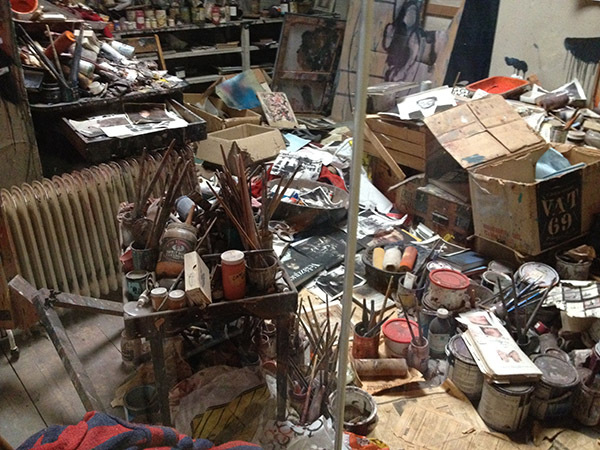 Francis Bacon’s studio was the ultimate creative mess. I recommend a visit if you are in Dublin. 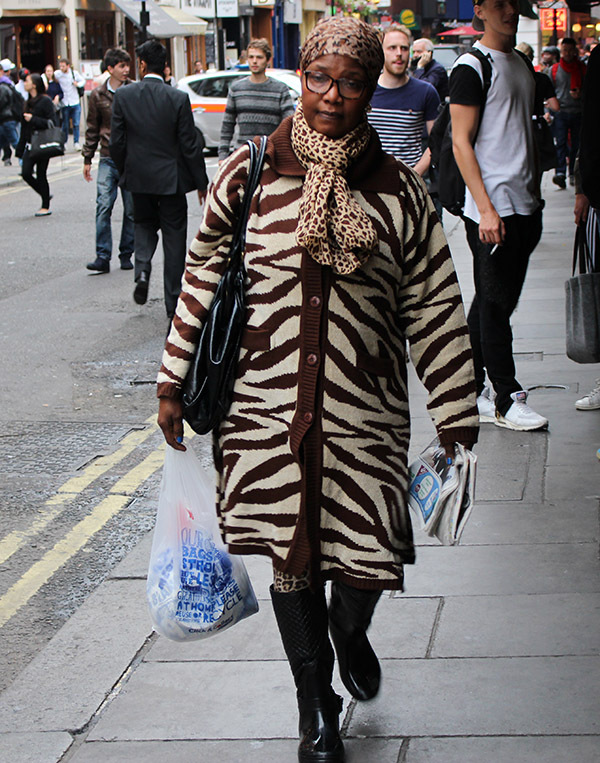 After a trip to the Tate Modern in London, we headed over to meet a friend at Kings College. 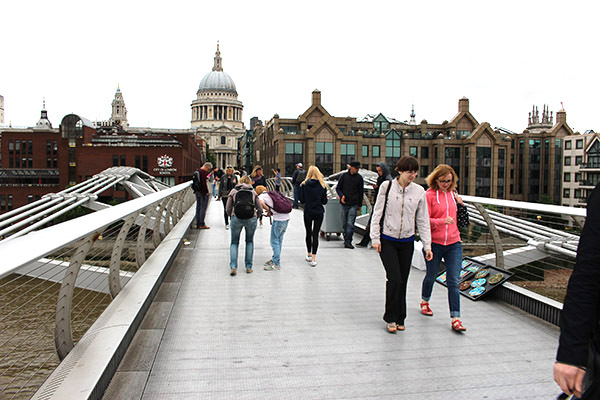 We walked over the elegant, sinuous Millennium Bridge. 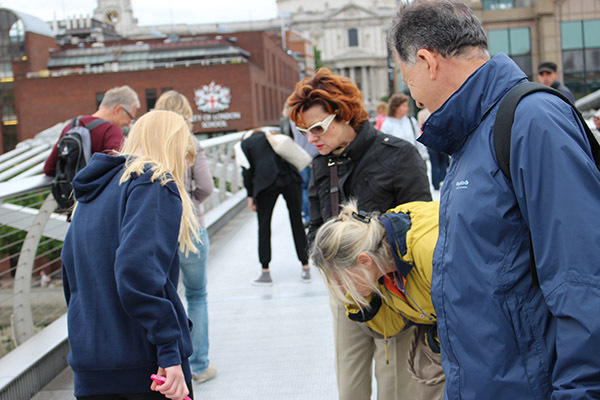 It’s has been a couple of years since our last visit and this time we noticed that everyone was looking down and pointing, not the sort of thing you expect to see in the middle of this busy thoroughfare. The once magnificent, pristine bridge has definitely aged. 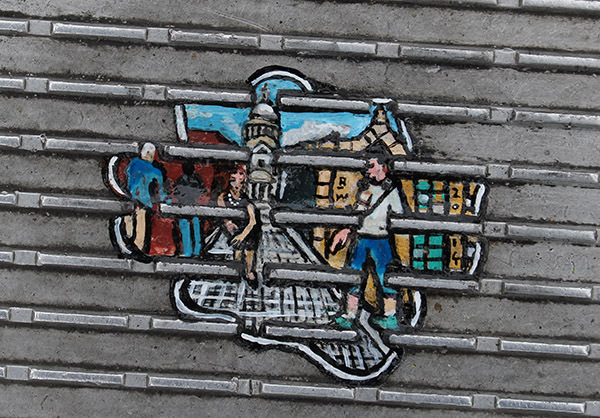 The metal rungs of the bridge are now the repository for discarded chewing gum. 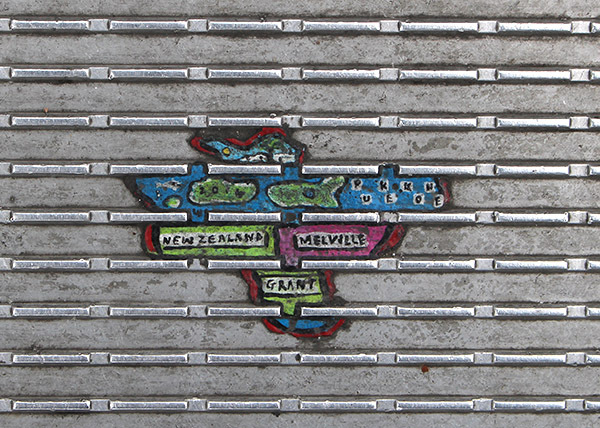 It’s a bit shocking to see the how little regard people have for their city’s icons. I am always surprised that so many people do not consider discarded cigarette butts and chewing gum as destructive litter. 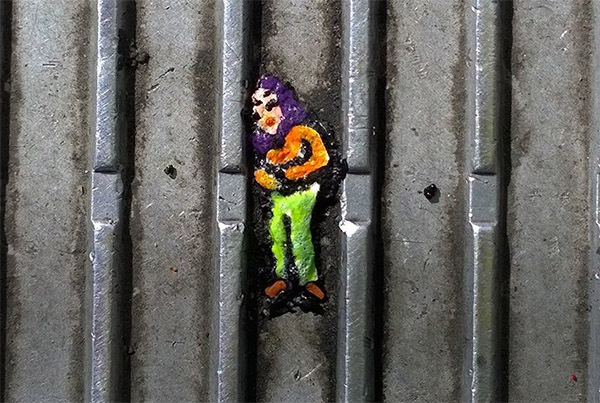 The silver lining however is that Artist Ben Wilson, aka The Chewing Gum Man, apparently a regular sight on the bridge, takes these disgusting remnants of people’s chewing gum and turns them into mini works of art. 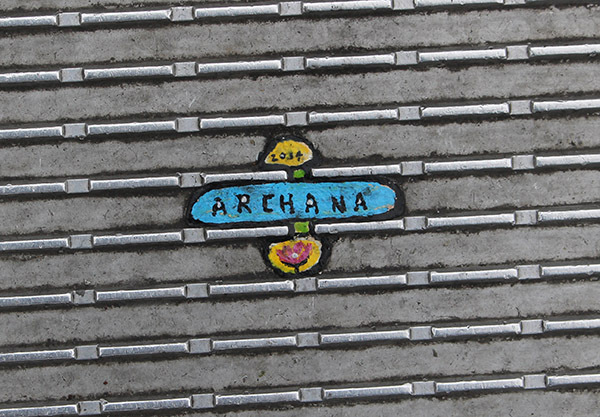 Many of the pieces are commissioned by tourists and locals commemorating their visit or someone in their lives. 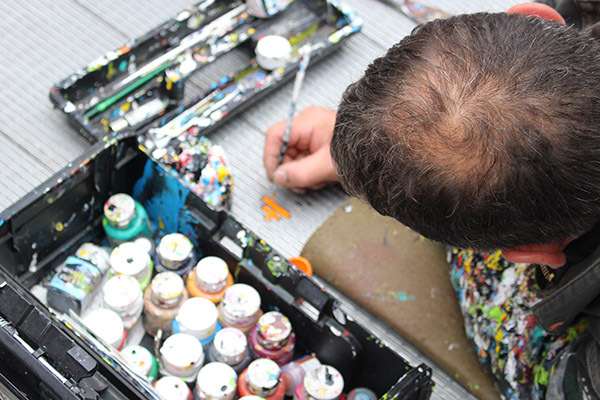 The intricate paintings can take hours to make. 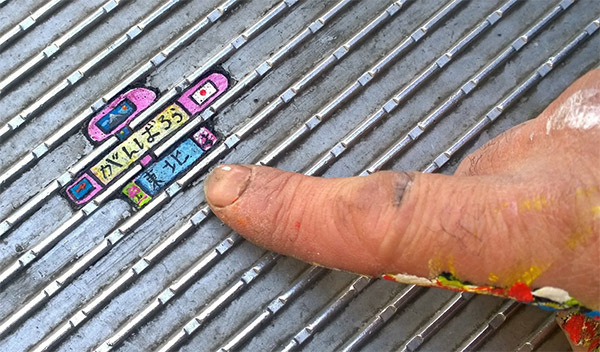 Ben likes to create art that means something to the people who ask for it. 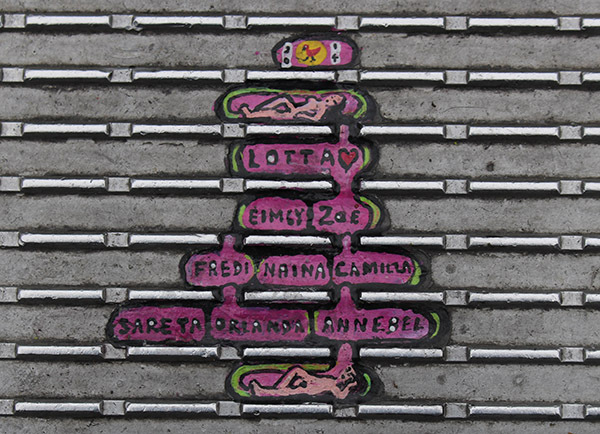 This was a tribute to victims of the Japanese Tsunami. 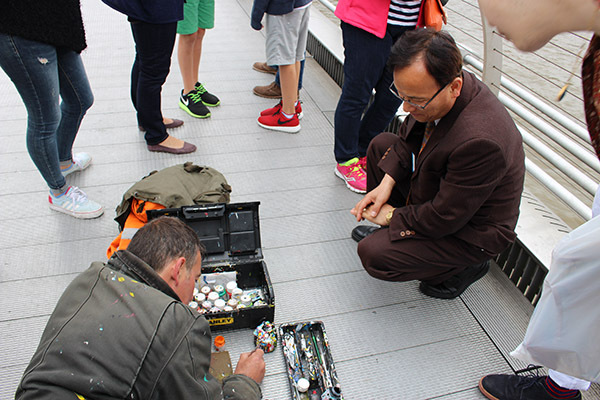 This image shows people on the bridge looking at Ben’s artwork and St Paul’s Cathedral at the end of the Millennium Bridge axis. 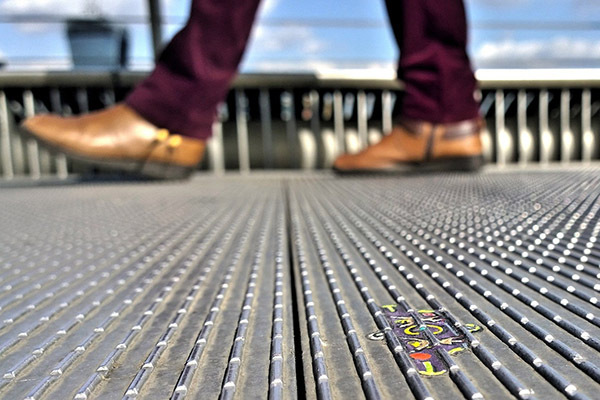 The Millennium Bridge has now become an experiential, free, outdoor art gallery. 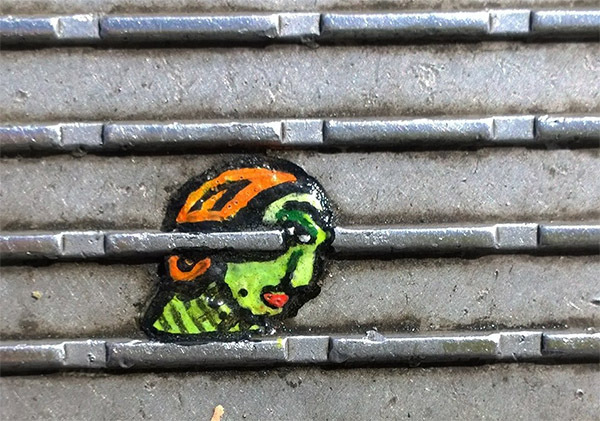 In his words, about painting onto discarded chewing gum, “it’s not criminal damage” he tells me “the chewing gum is already there I’m just transforming it into something beautiful that people would like to look at.” (Quote is from Inspiring City)). 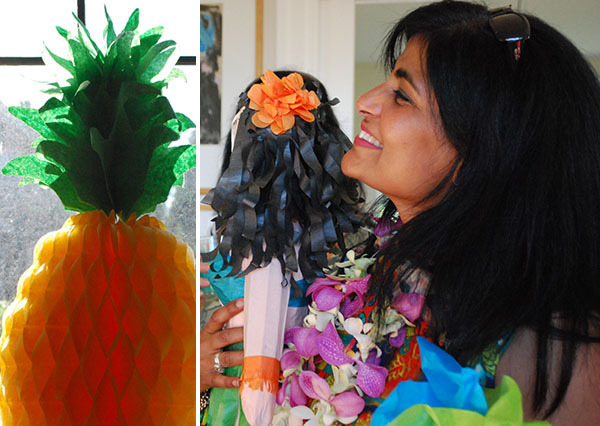 Those who know me know that I have a thing for kitschy Tiki, Hawaiian and Asian objects of art. I love vintage Hawaiian postcard, I throw tiki parties, love the cocktails and will wear a Hawaiian shirt without any hesitation. However, I have never delved into the world of kitsch paintings. 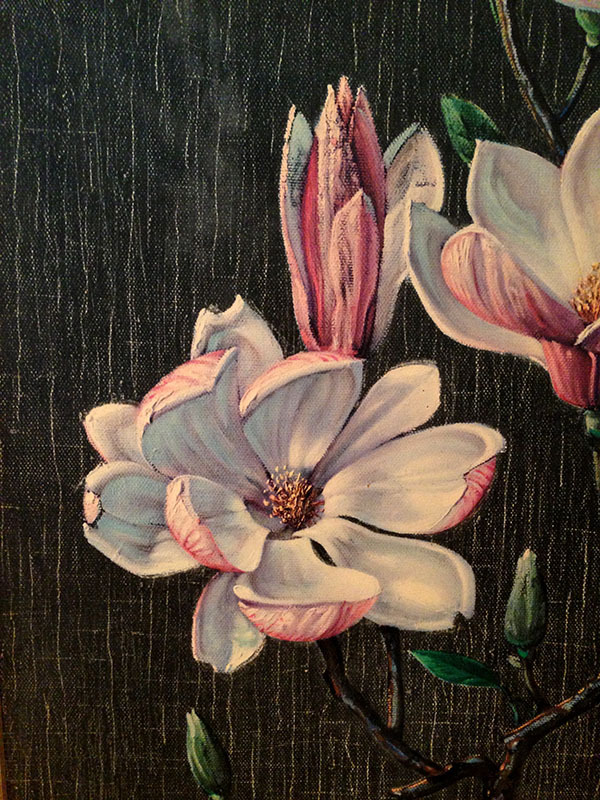 Perhaps in my mind the prohibitive image of black velvet paintings is too strong. This all changed when I went to an open house in Los Angeles a few months ago. 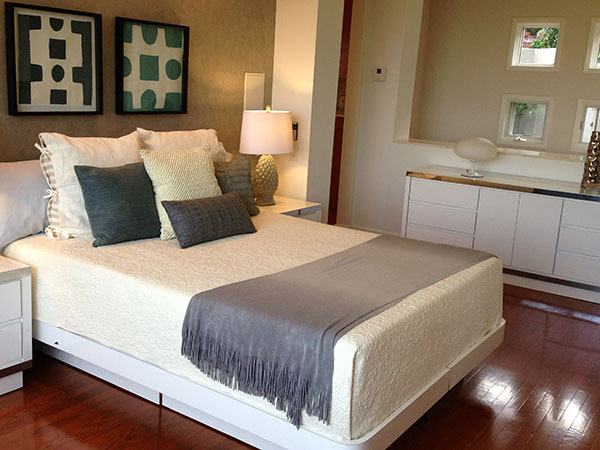 I was so inspired and taken aback by the collection of vintage Hawaiian paintings, hanging in the master bedroom, that looked so elegant and stylish, and totally complimented the aesthetics of the room. 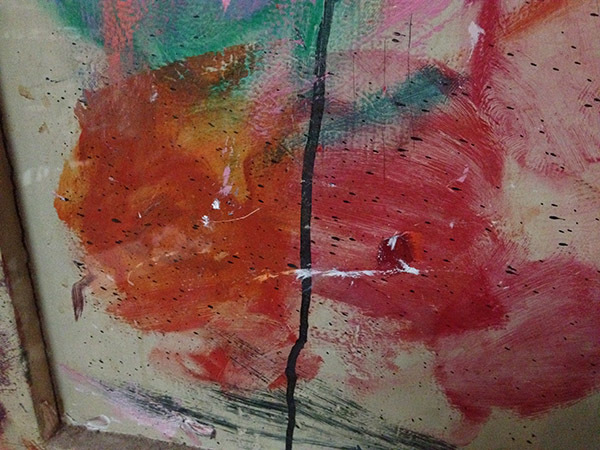 I realize it took a certain amount of panache to combine so-called real art with the flagrantly low culture pieces. 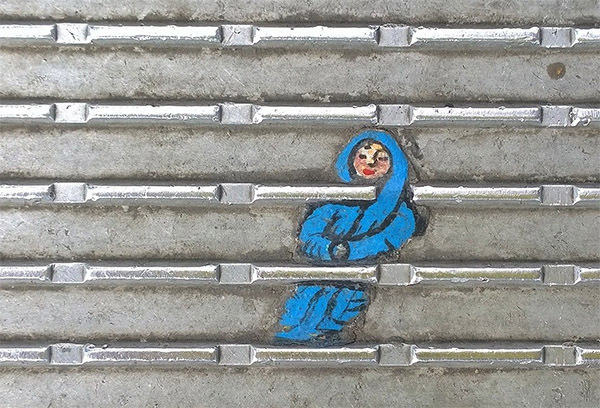 But this was done, not for Kitschy irony but for the simple beauty afforded by the combination of colours and imagery. Read my blog post here. My husband said to me yesterday just before we bought the painting “You have to be pretty confident in your design style to hang this kind of stuff.” Well we decided we were, so we bought the signed print, replete with its original frame. I am so pleased we did because it is amazing! 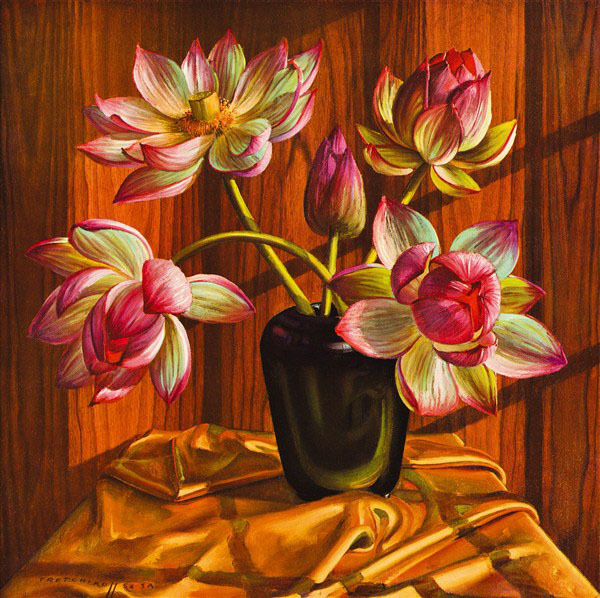 I haven’t decided where to hang this gorgeous piece so, in the meantime, I decided to do a bit of research on Vladimir Tretchikoff. 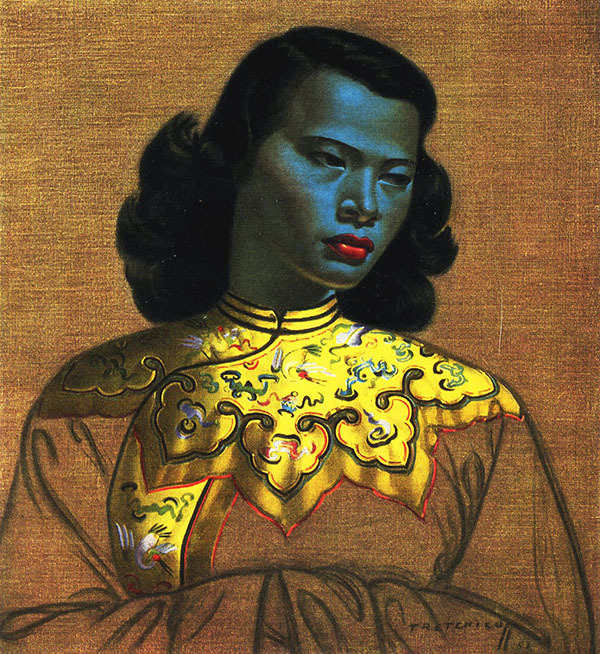 The Tretchikoff painting above, called ‘Chinese Girl’ (popularly known as “The Green Lady”), is one of the best selling art prints of the twentieth century. 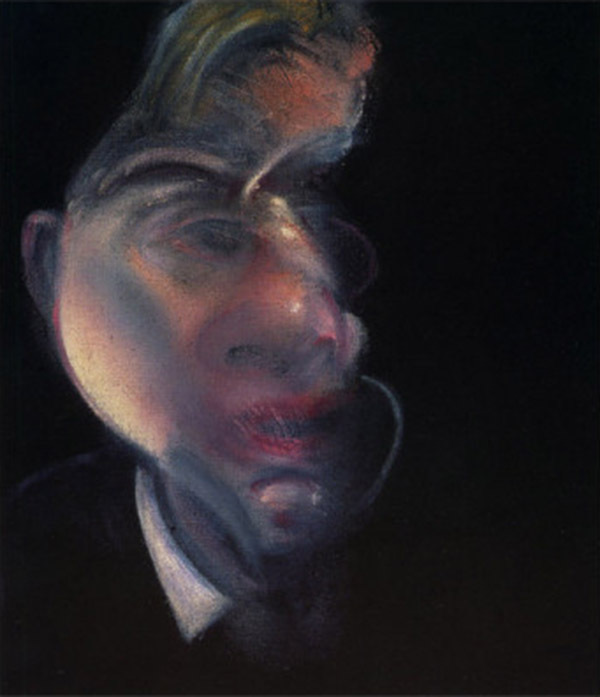 Recently, the original sold for nearly $1.5 million in London. 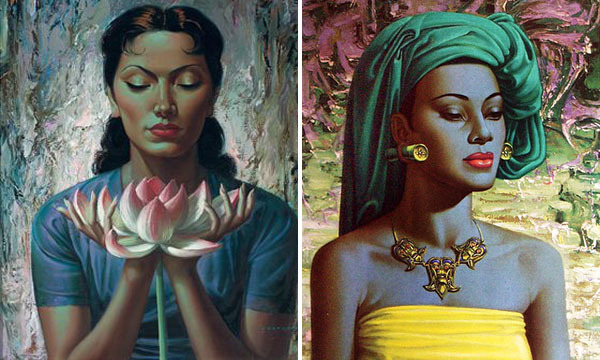 The model for the painting was Monika Sing-lee who was around twenty at the time and was spotted by Tretchikoff working in her uncle’s laundrette in Cape Town. 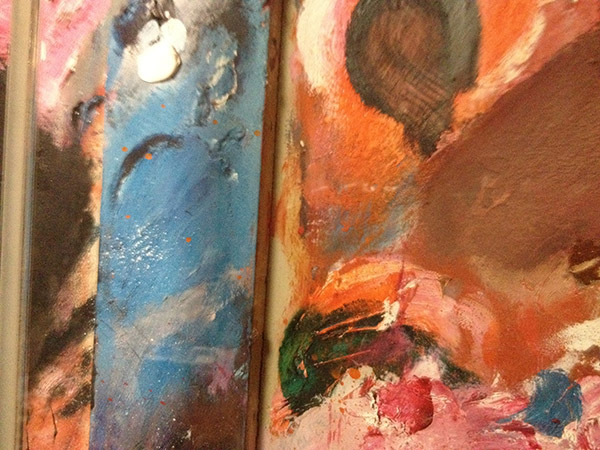 This short Youtube video explains the interest in the painting. 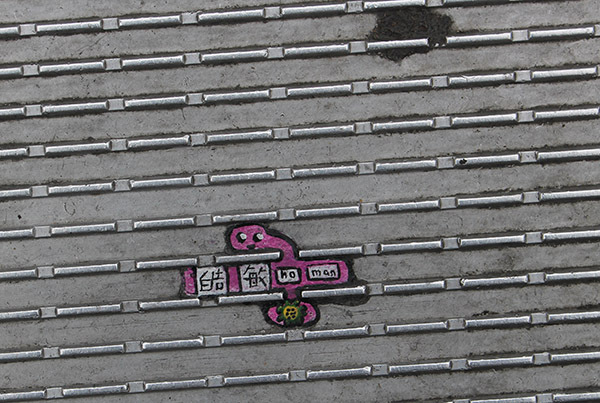 The Chinese Girl painting has appeared in numerous famous depictions of popular culture. 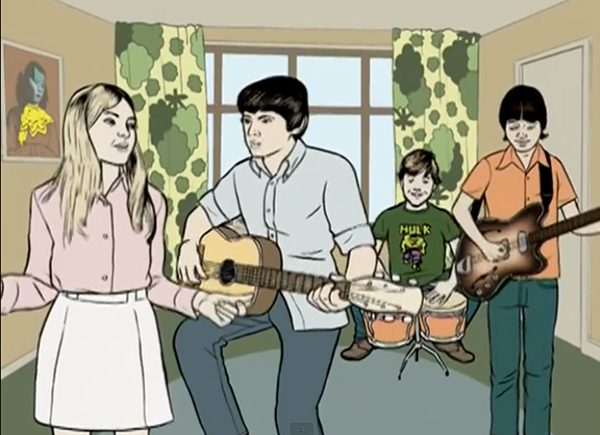 For example the painting can be seen hanging in the background of an animated living room in the music video for the song Young Folks by Peter Bjorn & John. 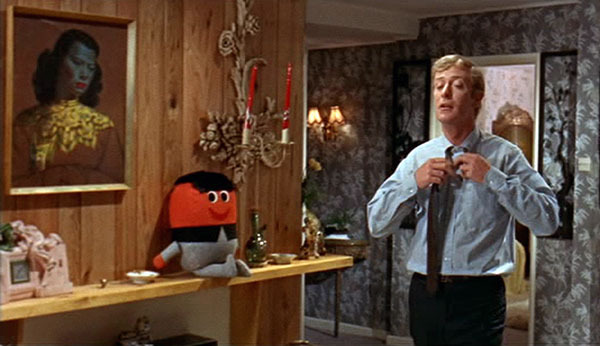 It can be seen adorning the living room of Bob Rusk, the killer in Alfred Hitchcock’s movie Frenzy in 1972. 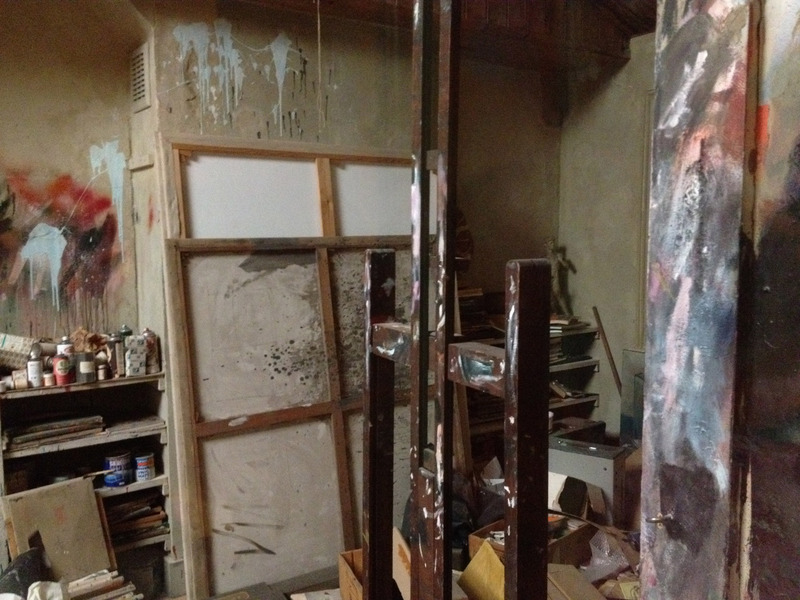 The painting is seen in the apartment of Ruby, Shelley Winters’ character, in Alfie (1966). 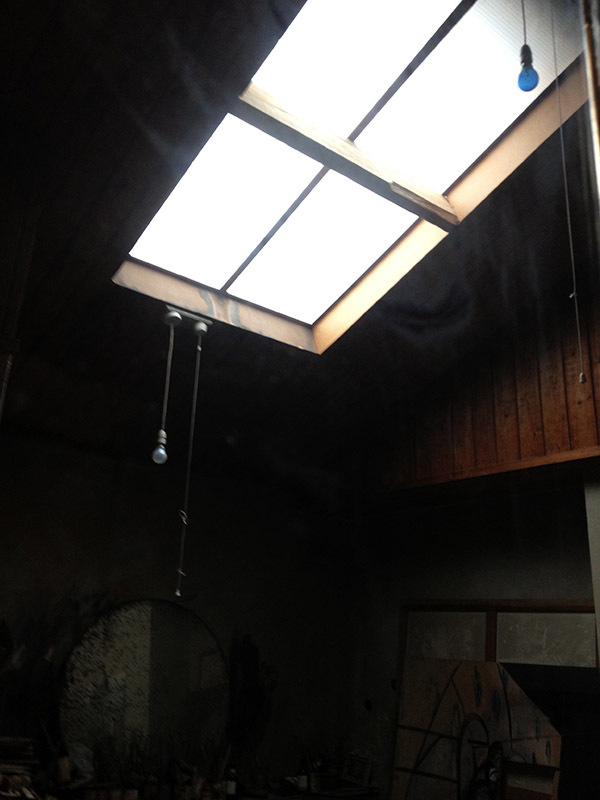 It is featured in his living room in the 2013 music video for The Stars (Are Out Tonight) by David Bowie. As I always knew, exploration of junk stores leads to discovery and education. So next time you see a kitschy oil painting remember that these iconic pieces have their own stories and are touchstones of their period in time. 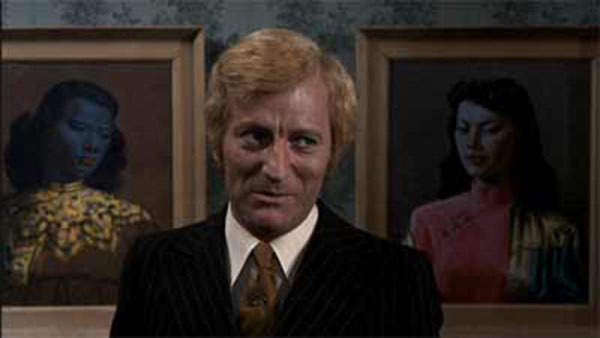 Tretchikoff was interesting and his stuff is appealing – even with the layer of nostalgia and kitsch. 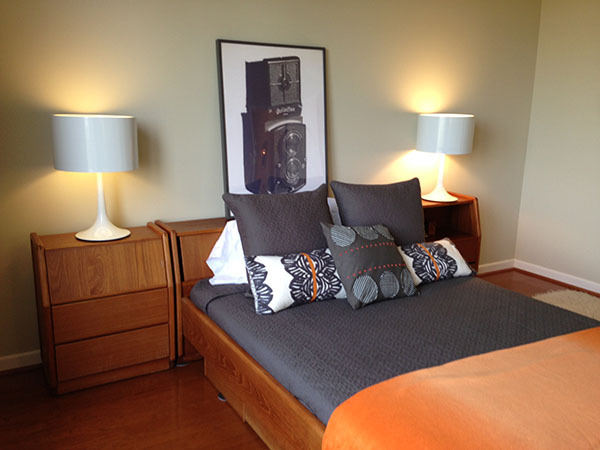 Remember It’s OK and even pretty darn cool to combine disparate pieces – high and low art – Let’s not forget Mr. Warhol! 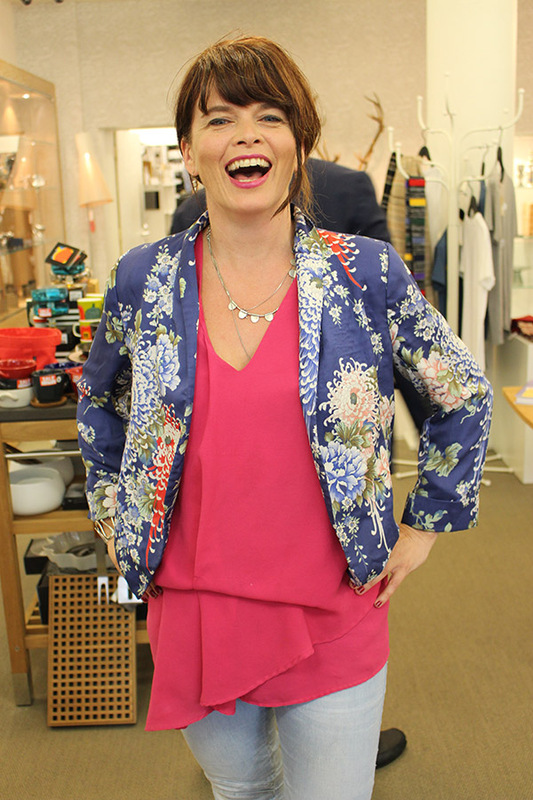 It shows confidence and leadership – instead of waiting to see what might be cool – you go with your instincts and have confidence in your taste. Finally, don’t forget to drop in to some open houses because you can learn from touring real estate and seeing other peoples Mojo. 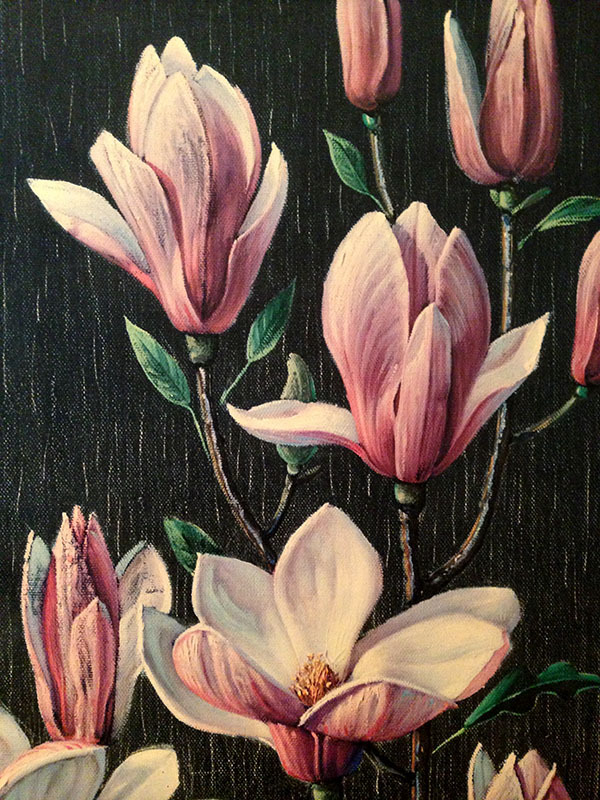 I decided to hang my Vladimir Tretchikoff, Pink Magnolias painting in my entry foyer next to my blue West German vase. Some of the images above were found on google images. If these photos are yours and you have concerns about their usage on this blog, please contact me and I will remove them. Thanks! 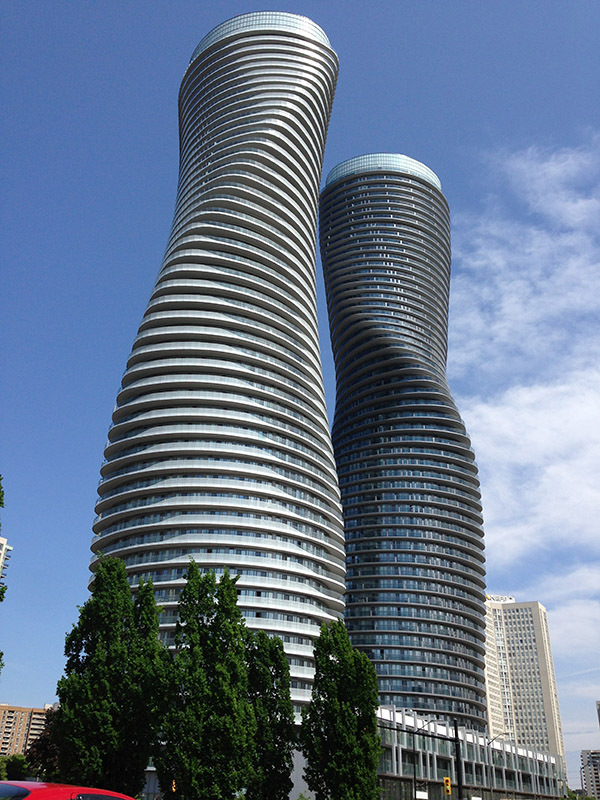 Very prominant along the GTA skyline are the “Marilyn Monroe’ Towers. 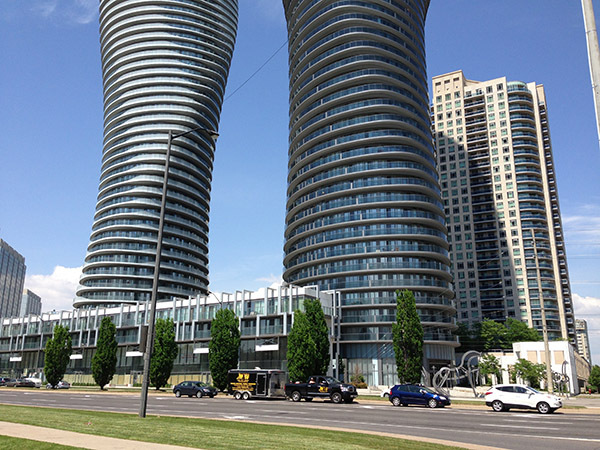 On our last trip to Ontario we decided it was time to stop and have a look at these towers and their very unusual, non-rectilinear massing. Their undulating shape is the design of young Beijing-based architect, Ma Yansong, and his firm, MAD Architects. Ma entered an international design competition hosted by the tower’s developers Fernbrook Homes and Cityzen, and was awarded the project in 2006. 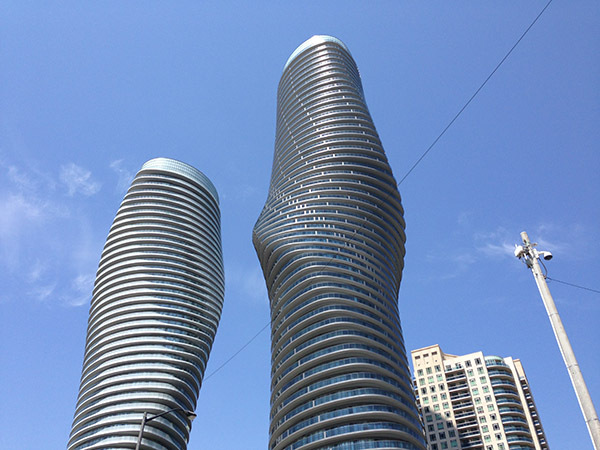 Within days of the announcement, the taller building had been nicknamed the “Marilyn Monroe” tower due to its curvaceous, hourglass figure likened to actress Marilyn Monroe. Burka Varacalli Architects, a Toronto firm, was hired as MAD’s local partner in April 2007. The building represented constant challenges. In most towers, all but two of the floors are exactly the same, said engineer Yury Gelman. In this building, none of them were the same. The larger of the two towers twists 209 degrees from the base to the top. 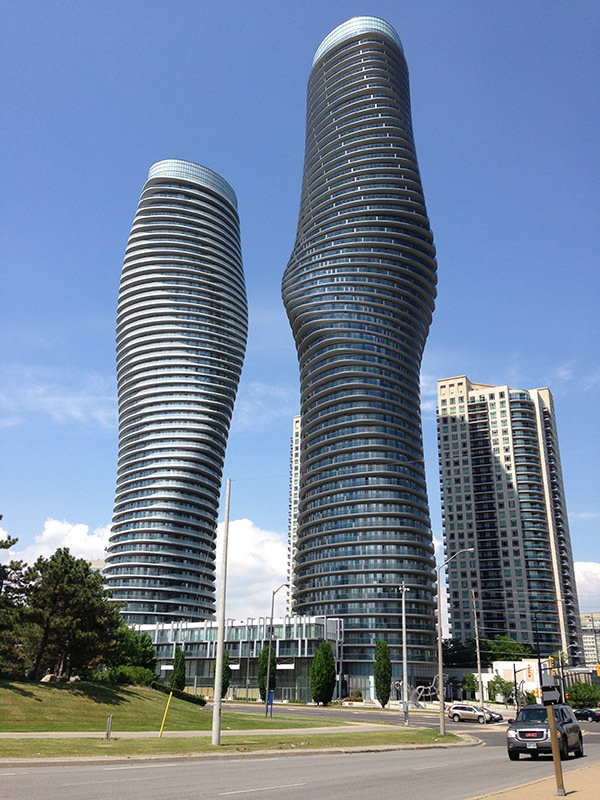 The towers are 176 metres and 158 metres tall respectively. 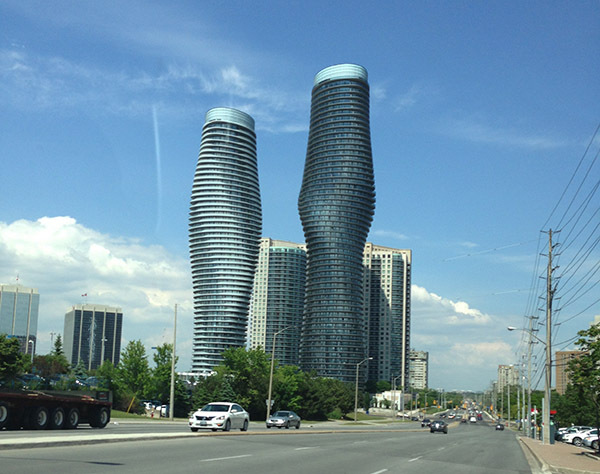 It was worth the detour off the Toronto freeway to see these towers in person. They are absolutely magnificent and beautiful to look at. They are indeed works of Art. 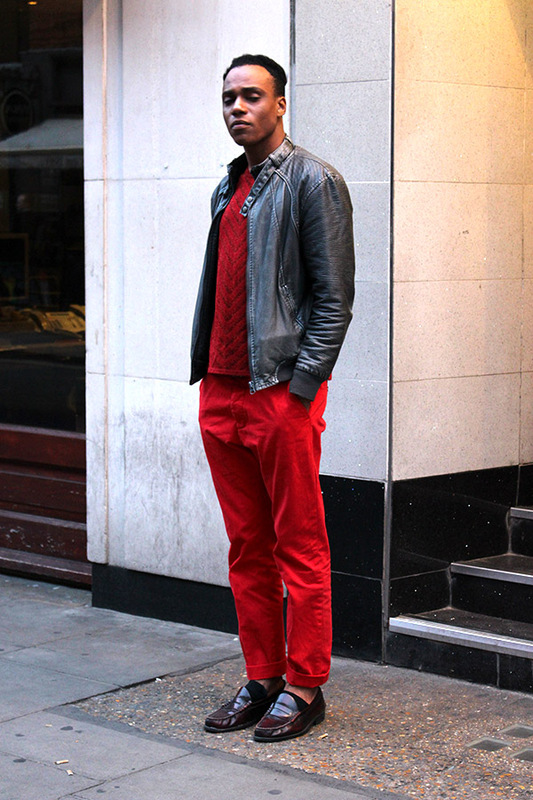 These are some street style images from a recent trip to London, England. 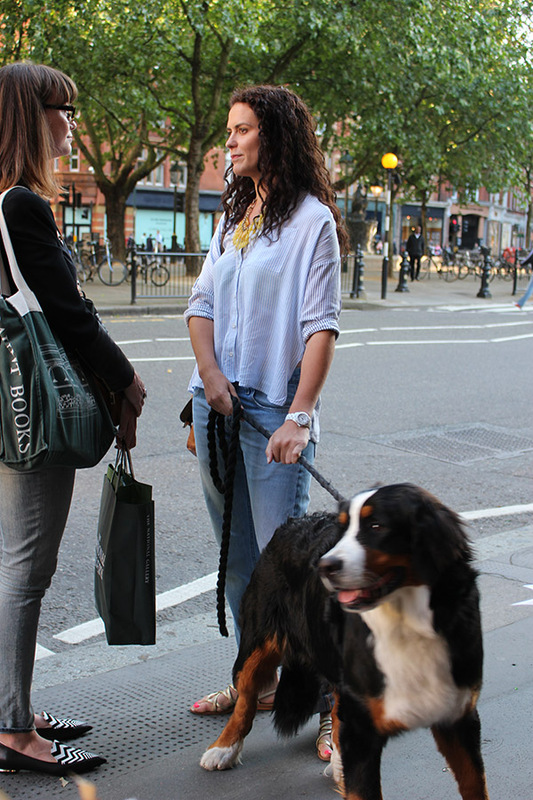 Cobalt blue Hermes bag in Chelsea. 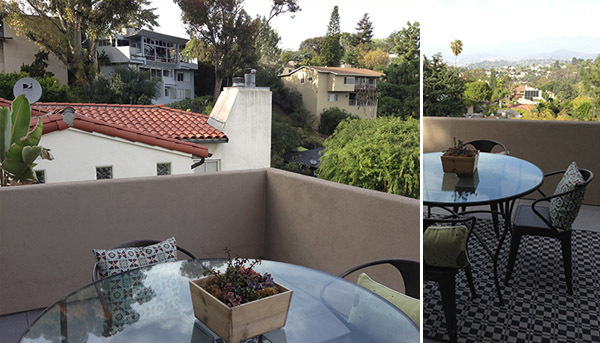 The design highlight of our recent trip to Los Angeles was a self-discovery architectural tour of Silver Lake. 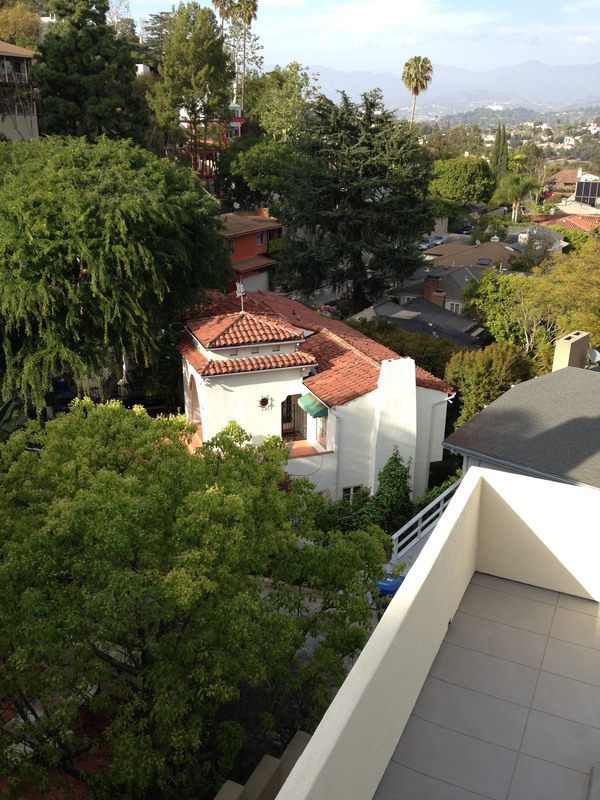 I had no idea Silver Lake was such a hot bed of architectural activity. 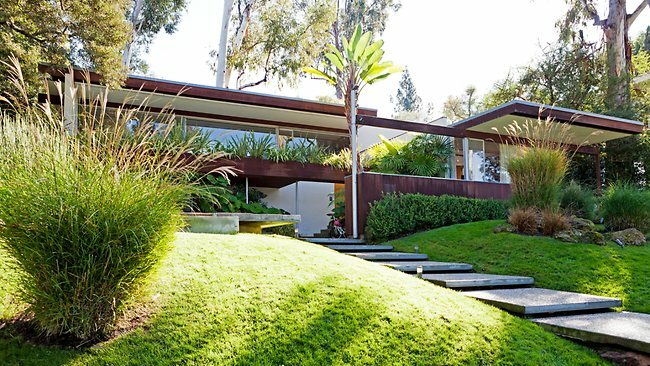 So many of the houses, mid century modern in style, were designed by very well known architects, including Rudolf Schindler, Richard Neutra, John Lautner, and Frank Lloyd Wright to name a few. 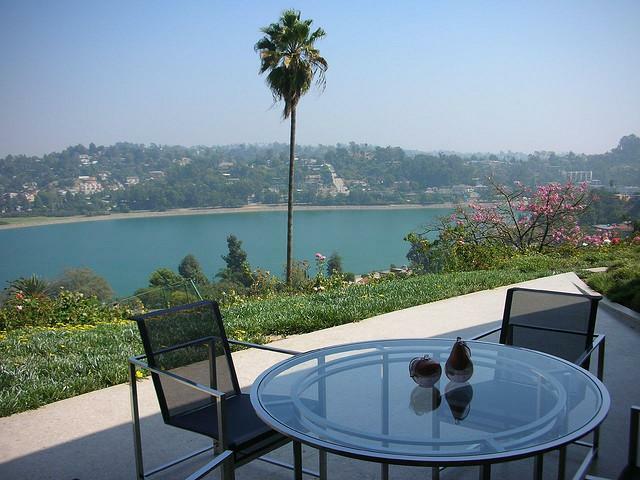 The icing on the cake was a stop at an open house perched in the hills overlooking the Silver Lake Reservoir. The house was beautifully decorated and according to the real estate agent, Gisele Plouffe, the owners styled the house themselves. The owners of this house have really good taste. 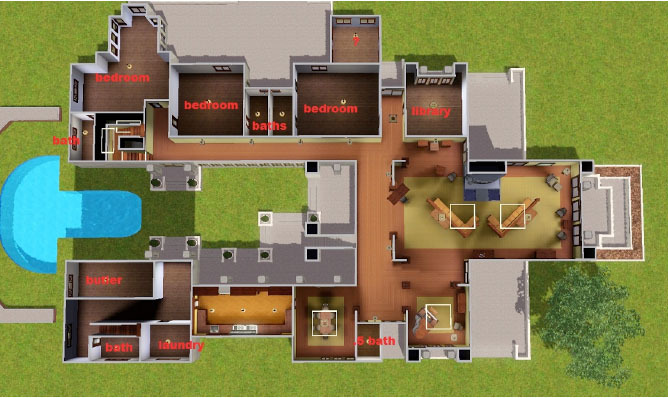 Before we take a closer look at the house I’d like to share a story told to us by Gisele. 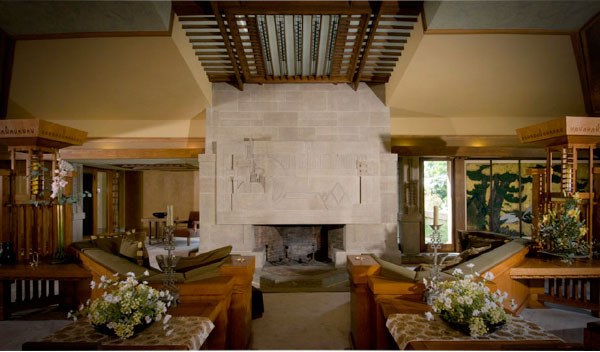 Gisele described a party she attended given by the current owner of Silvertop, the Lautner designed house in the hills just behind her listing. 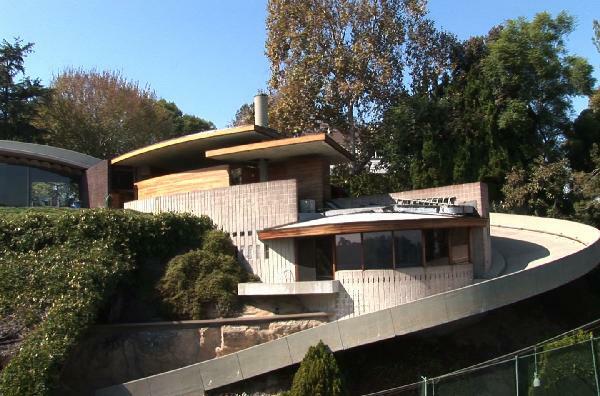 Evidently the owner, in his 90s, told her the story of how John Lautner and Richard Neutra both had houses under construction on opposite sides of the Silverlake Reservoir, and how they tried to hide their projects from one another. As an architect, this rivalry didn’t surprise me in the least. Architects are famous for being protective of their work. If I hadn’t stopped at this open house I would never have learned about this little known, classic story. John Lautner’s Silvertop House showing the dramatic driveway up and views to the Silver Lake Reservoir from the patio. “This story was told to me at a cocktail party at Silvertop, by the original owner of the home. 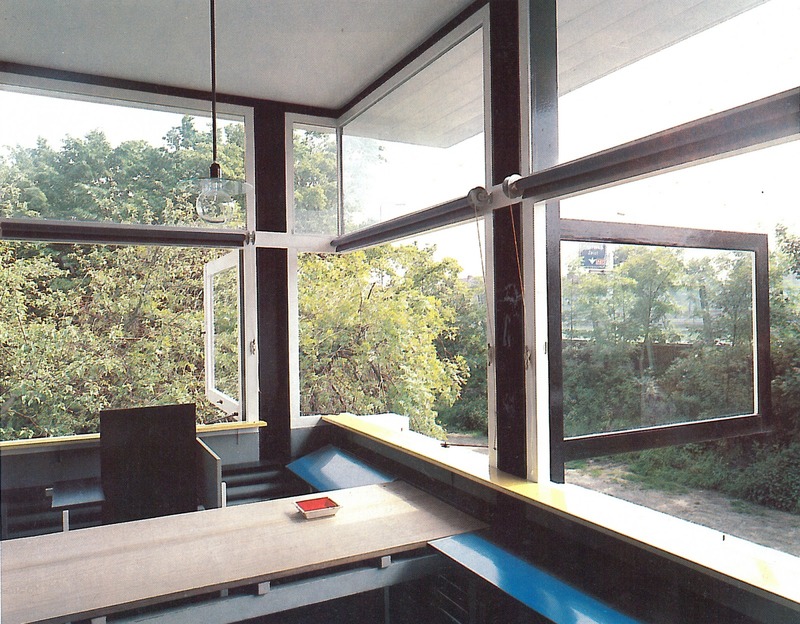 Talk about the perfect setting for a Lautner/Neutra story! 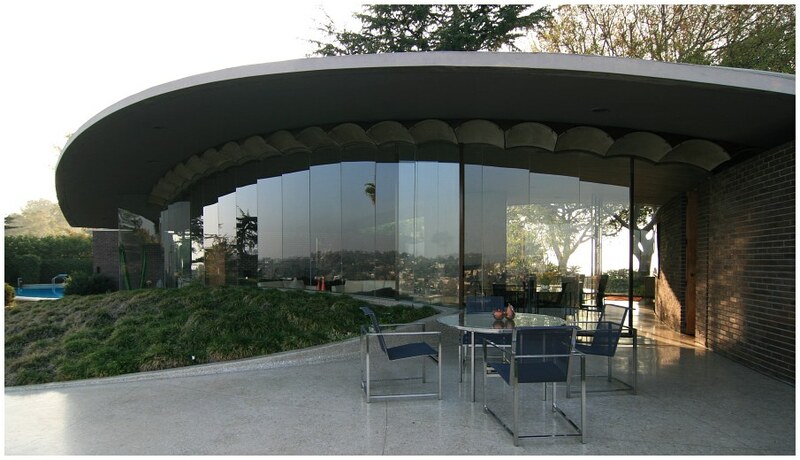 It all started when John Lautner was building “Silvertop” in 1957. 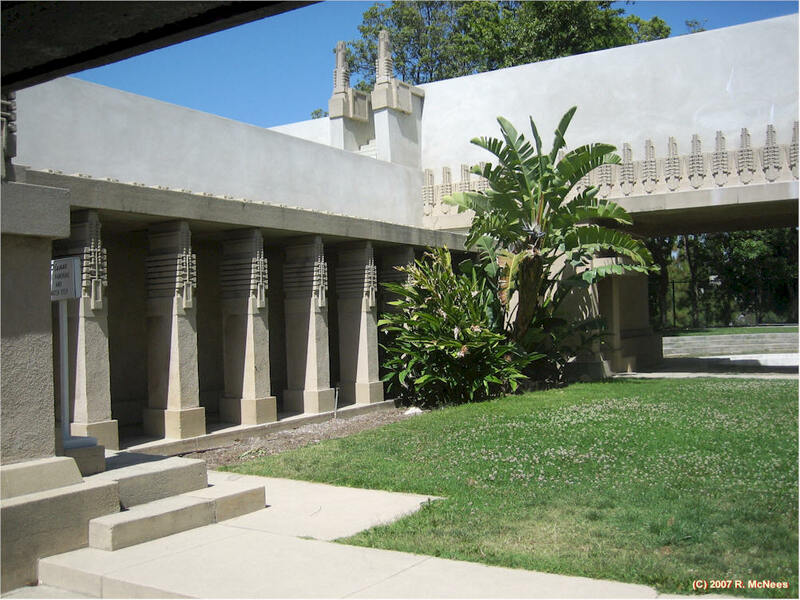 It is such a huge masterpiece at the top of the hill, on the West side of Silver Lake. As you can imagine at that time, it stood out for all to see. This area is known as the Moreno Highlands, named after Antonio Moreno, actor, who had a huge estate there with his mistress in a home down the street. That’s another story. 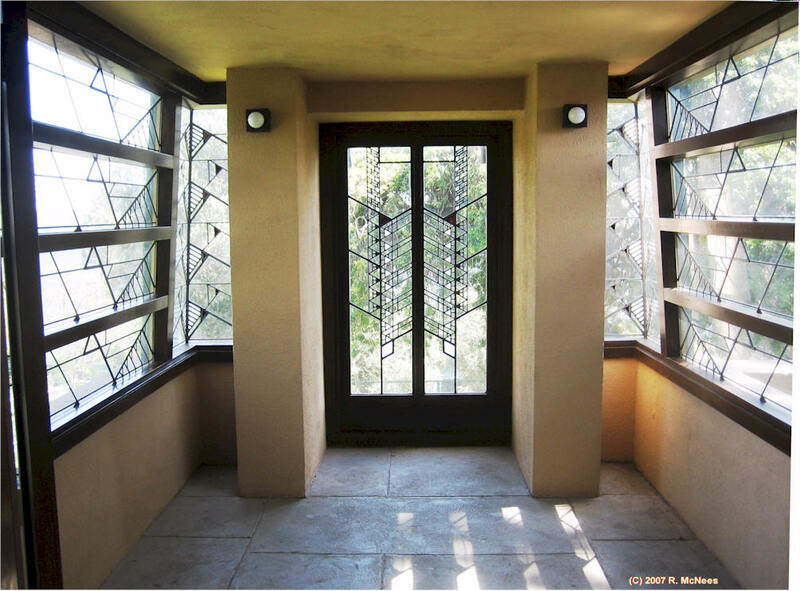 “At the same time that Lautner was under construction, his rival architect, Richard Nuetra, was in the process of building a large project on the East side of Silver Lake. A cul de sac, lined with his homes. 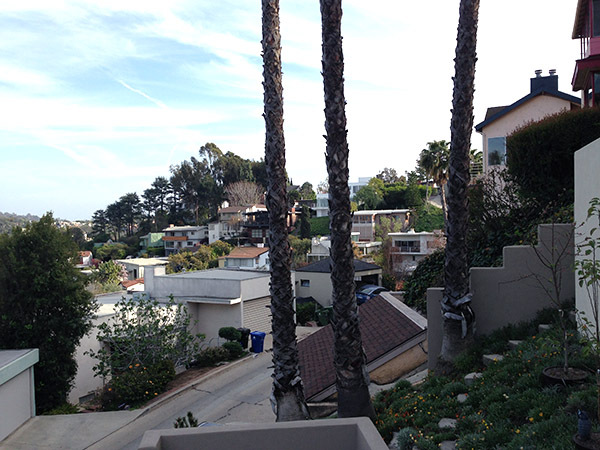 Name of the street – Neutra Place. By the way, the open house was lovely, with sweeping views of the hills and the reservoir. The house had its own putting green off the master bedroom. 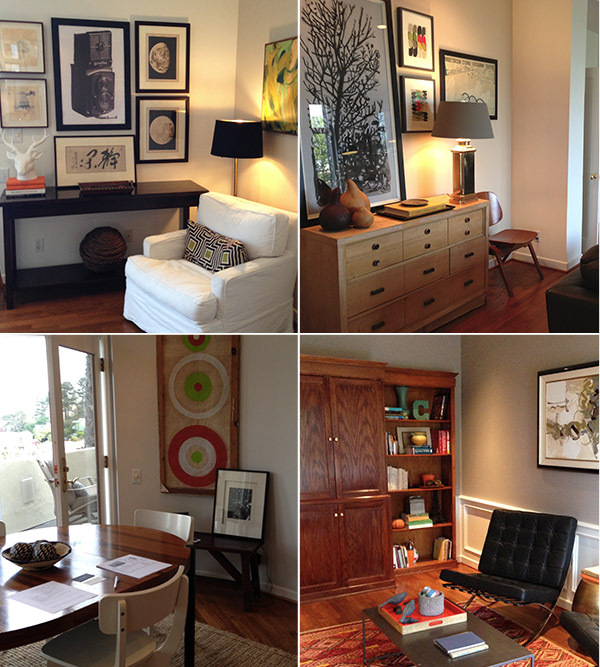 The owners had a fabulous collection of vintage art mixed with mid century modern pieces. 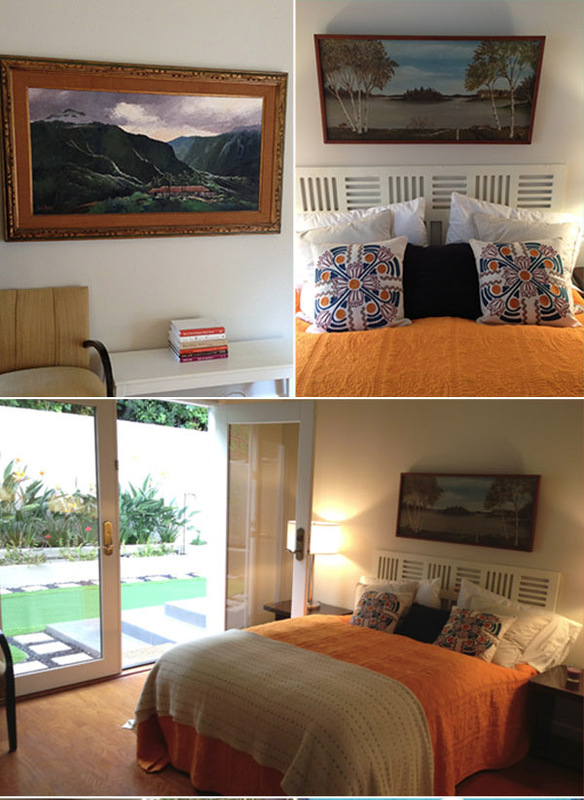 In one bedroom the paintings were original, romantic, vintage Hawaiian. The whole house was a sophisticated and eclectic mix of colour, art, quirky historic artifacts and whimsical touches, well worth the steep hill and stair climb. If you need a real estate agent in the Los Angeles area, and want to hear some interesting stories give Gisele Plouffe a call! Sorry I’ve been MIA, but I’ve been busy working on a number of different projects that I hope to share with you soon. Today I did some design sleuthing. 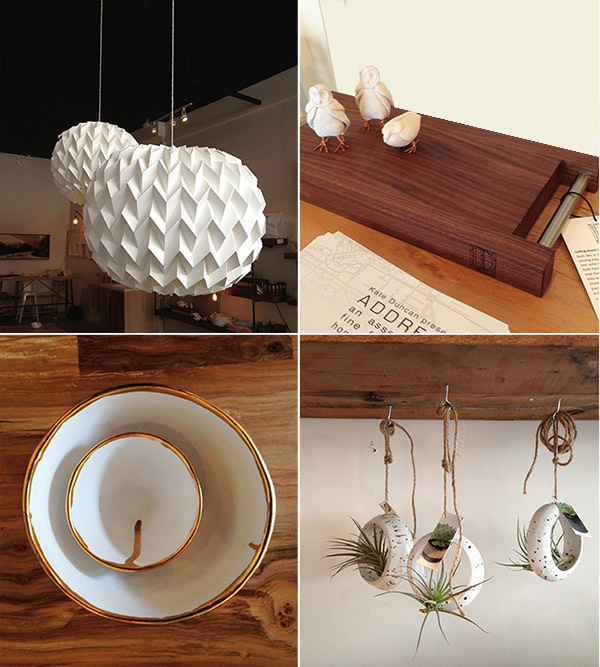 The Chinatown Experiment showed up on my Instagram feed so I headed down to 434 Columbia street to see ‘ADDRESS’ an assembly of fine furniture and home accessories put together by Kate Duncan. 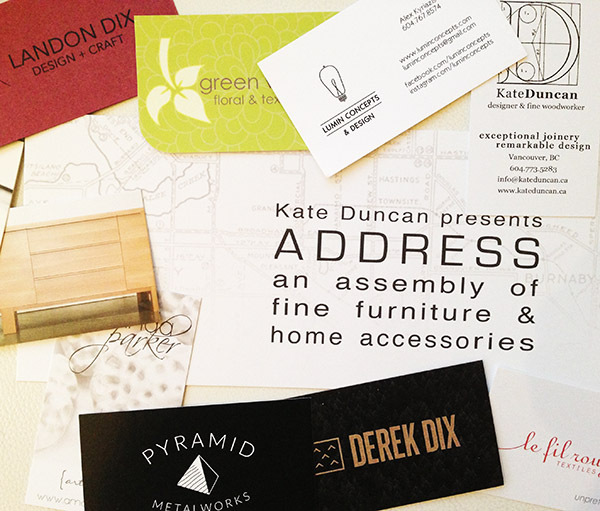 ADDRESS is a carefully curated display of locally designed and crafted furniture, lighting, textiles, artwork, as well as natural and sculptural home accents. 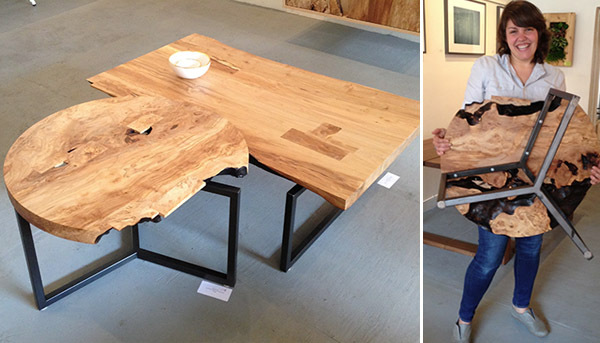 I met Kate and was very impressed by the wood furniture and accents which she personally designed and made. 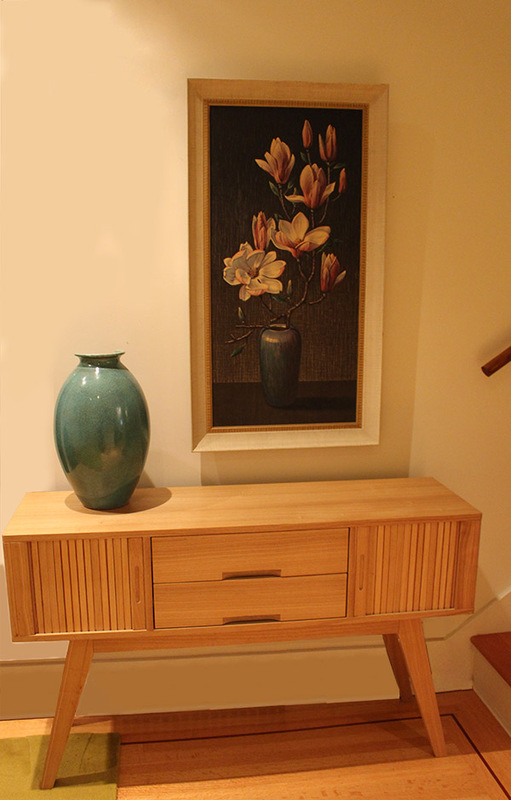 There were beds, coffee tables, cutting boards, dressers, and an amazing bathroom cabinet made from a number of different maple finishes. 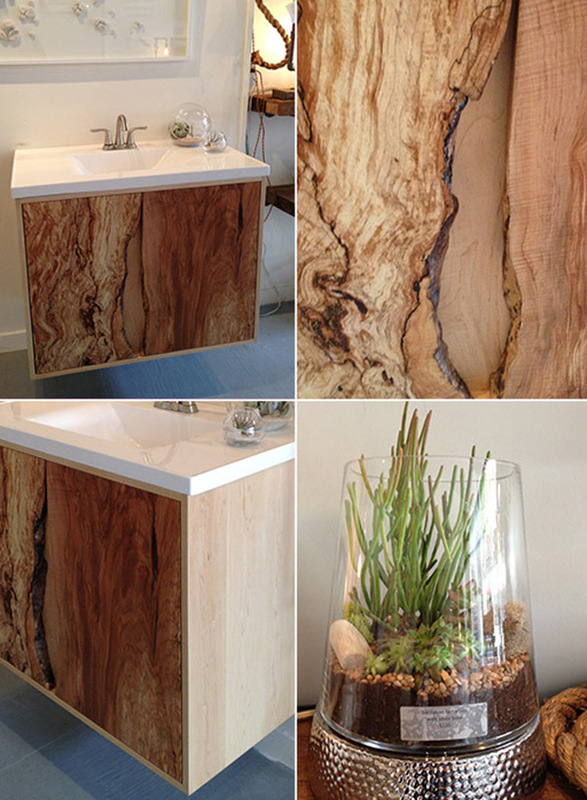 Maple bathroom vanity by Kate Duncan. Terrarium by Green with Envy. 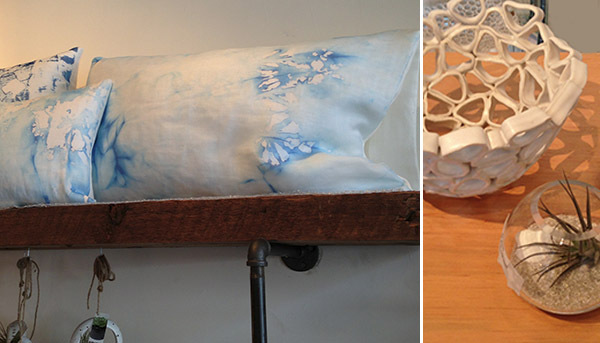 The watercolour effect pillows are by Le Fil Rouge Textiles, terrarium by Green with Envy, ceramics by by Golem Designs. Kate showing me the quality of the metal work on the maple coffee tables she has made. Painting below is by Derek Dix and is a collage of evocative outdoor images. 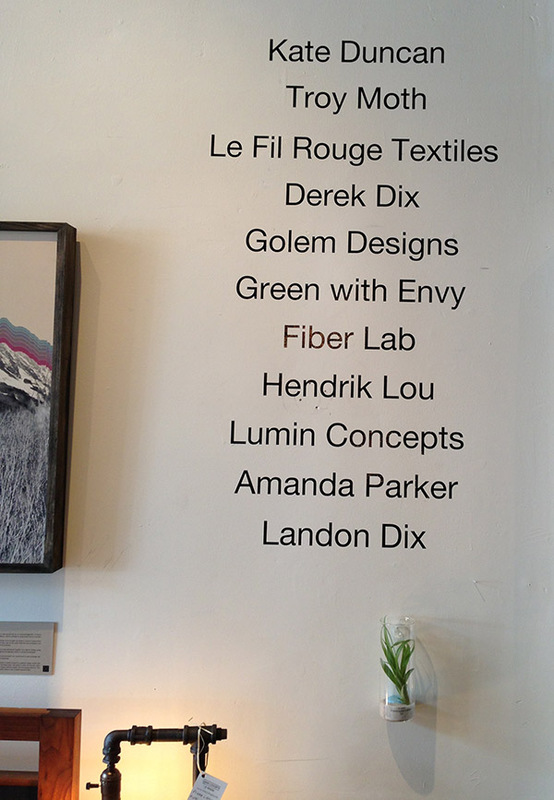 ADDRESS is at the Chinatown Experiment until June 3. Come down, have a look and support our local artisans and craftspeople. The work is so impressive! 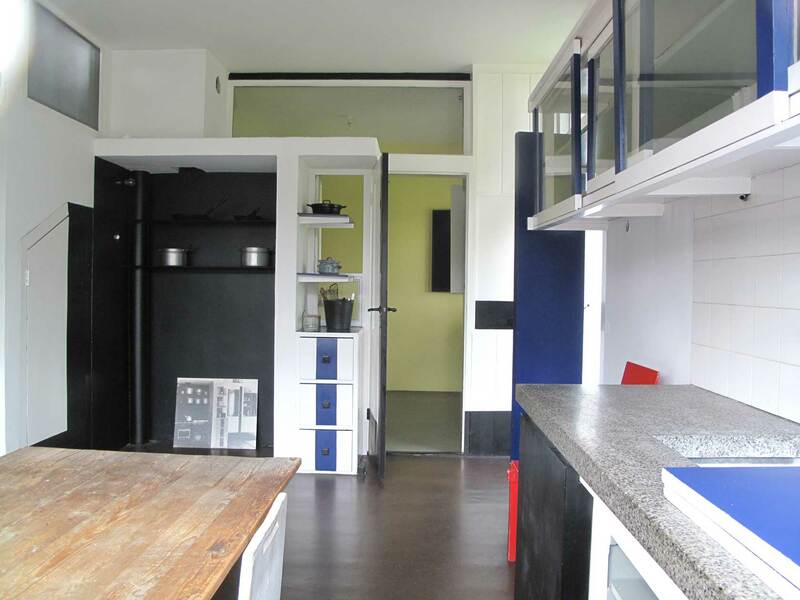 The second innovative house project, involving female clients and well-known architects, is the Schroder House, in Utrecht, Netherlands. 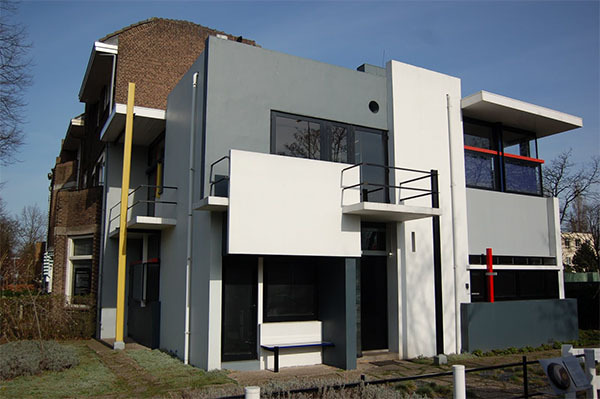 The house was designed by Gerrit Rietveld for Truus Schroder in 1923-1924. 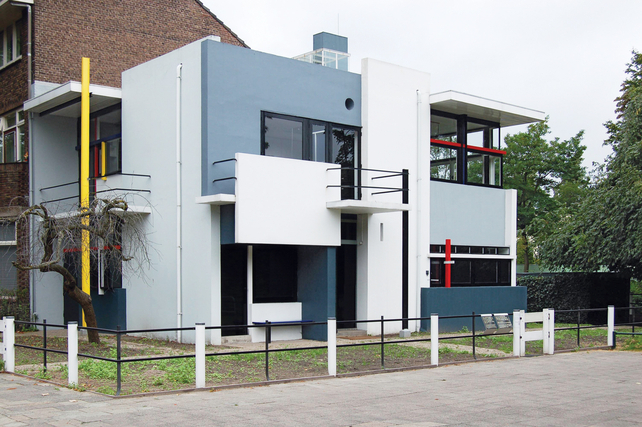 This house is of particular interest to me because as an architecture student I made the pilgrimage to The Netherlands specifically to see it. 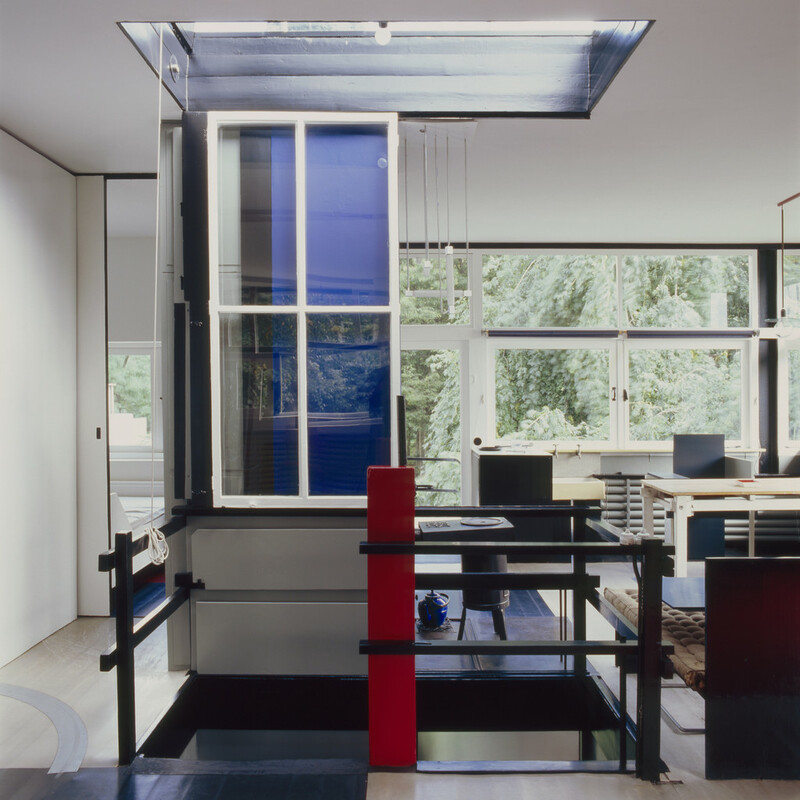 I was studying in London when I made the trip to see this fine example of the De Stijl (aka Neoplasticisim) movement and icon of modern architecture. It took a while to find it and when we did it was smaller than I had imagined but so beautiful. There it stood in all its acontextual beauty like an exotic alien species against the backdrop of austere traditional dutch architecture. 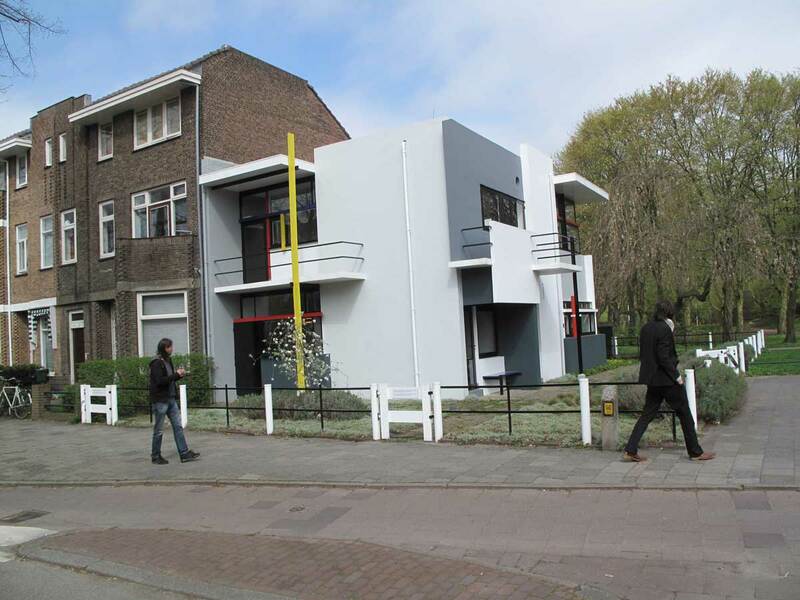 The Schroder House house looks like a 3 dimensional Piet Mondrion, De Stijl painting. 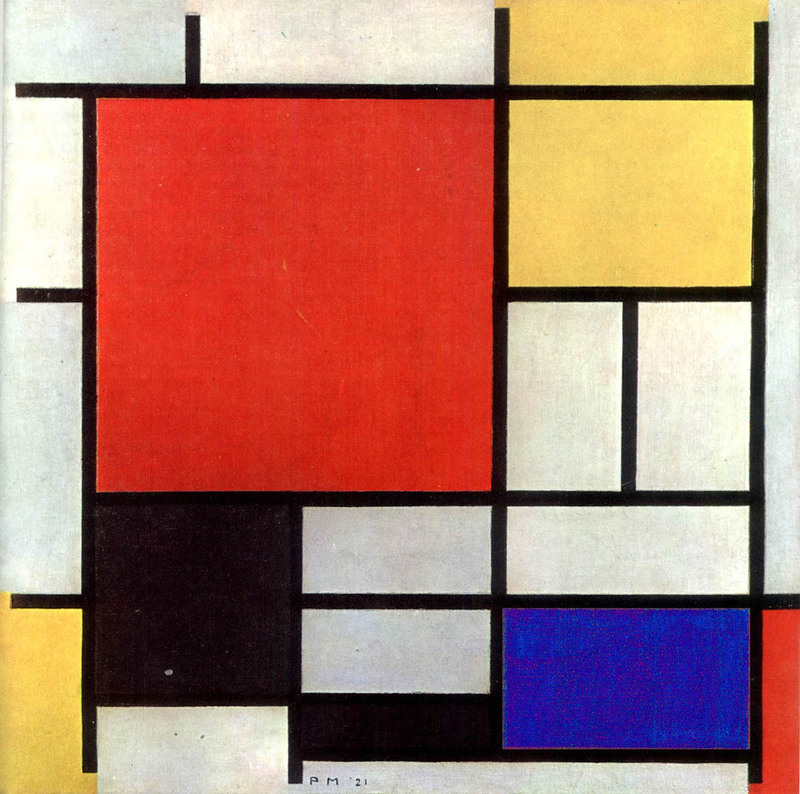 The two are often compared to one another and arise from the same geometric theoretical principles of pure abstraction of horizontal and vertical forms expressed using only primary colours to achieve a kind of universality of form and expression. Ironically the Schroder, while in stark contrast to its historic neighbours, still expresses the Calvinist severity and clarity of the Dutch mind. 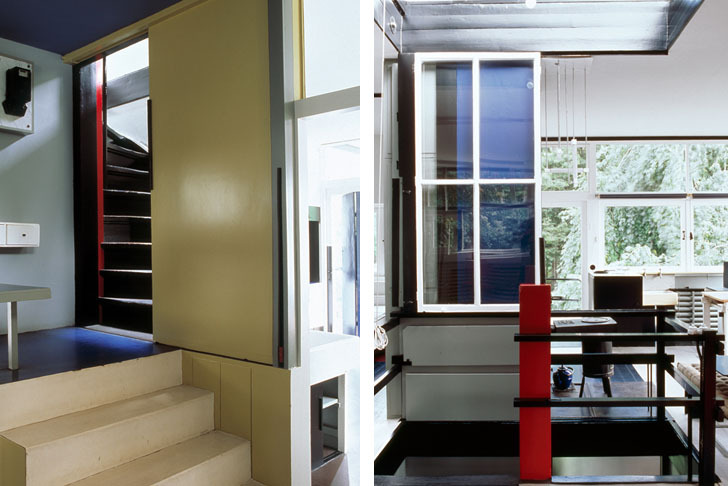 The house was an opportunity to break free of ‘repressive traditions and rules-both social and architectural, and create a totally modern environment. 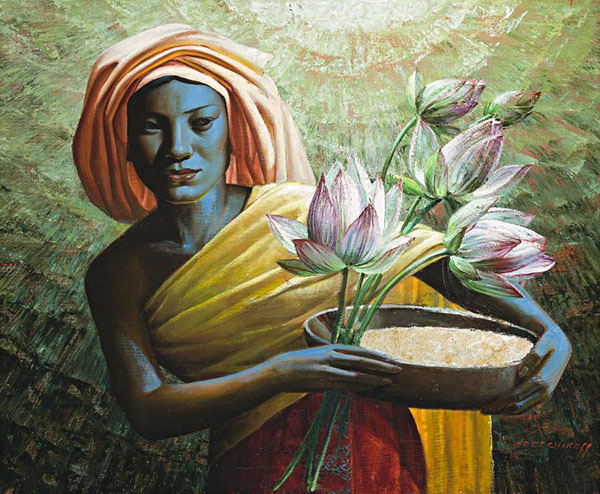 The use of bright coloured elements represented freedom and choice. 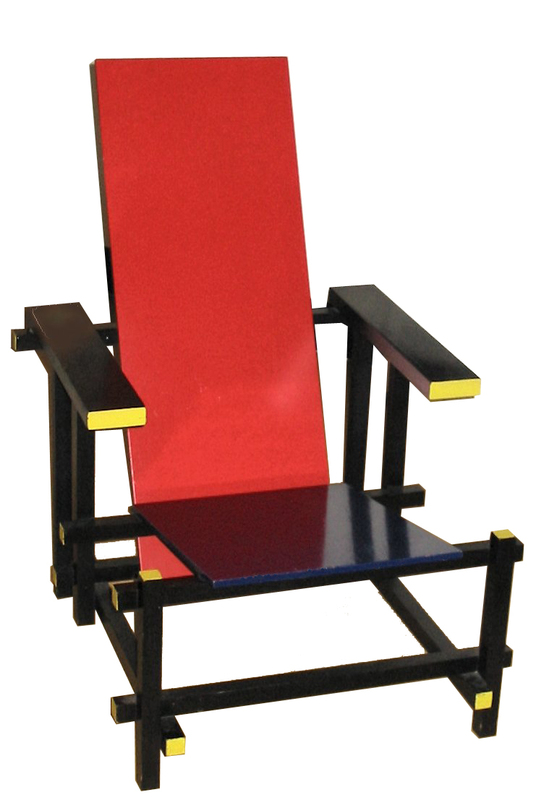 The Red and Blue Chair was designed in 1917 by Gerrit Rietveld. 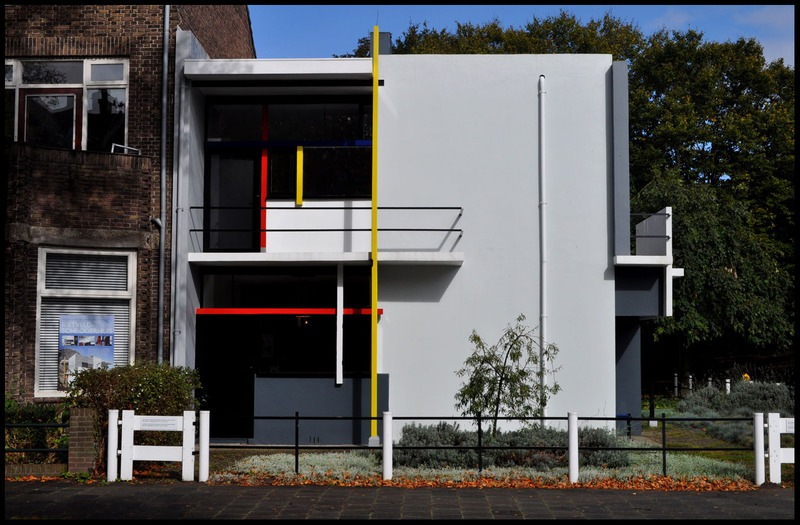 It represents one of the first explorations by the De Stijl art movement in three dimensions. 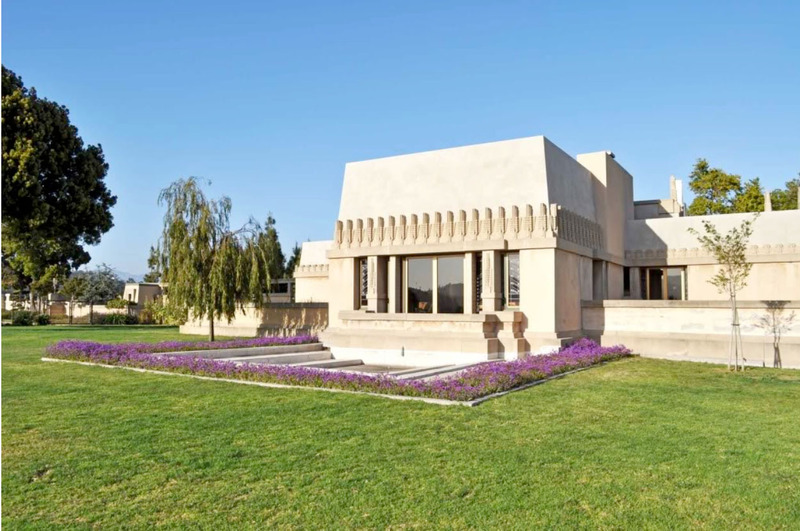 American heiress, Aline Barnsdall commissioned Frank Lloyd Wright to design Hollyhock House because she wanted to build a theatre for her newly formed theatrical company. Her goal was to use her experience and vast wealth to establish a centre for art theatre in American to rival those found in Europe. 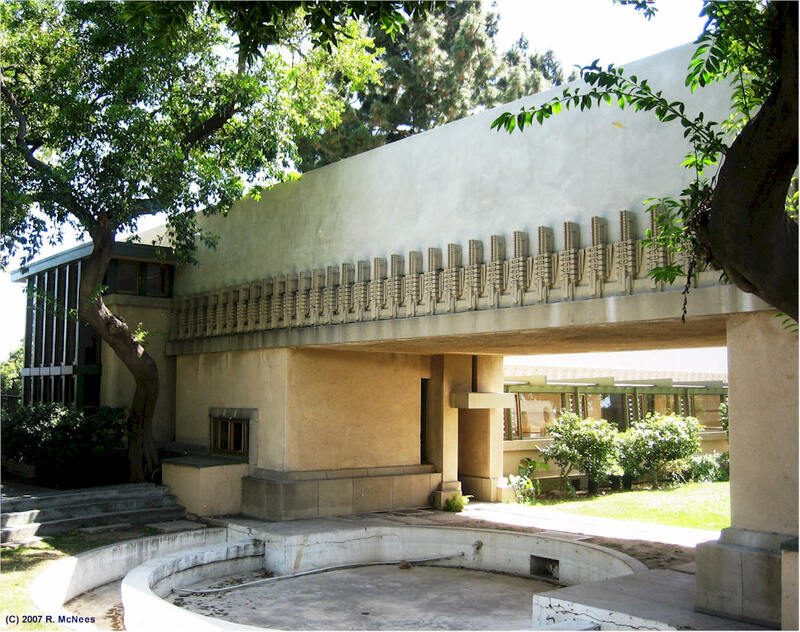 She wanted a place where her architect, Frank Lloyd Wright “could build a theatre, a community, and a home that would match her dreams with a boldness and individuality of their own.” Aline Barnsdall hoped her experimental project for an American theatre community would grow and prosper in California. 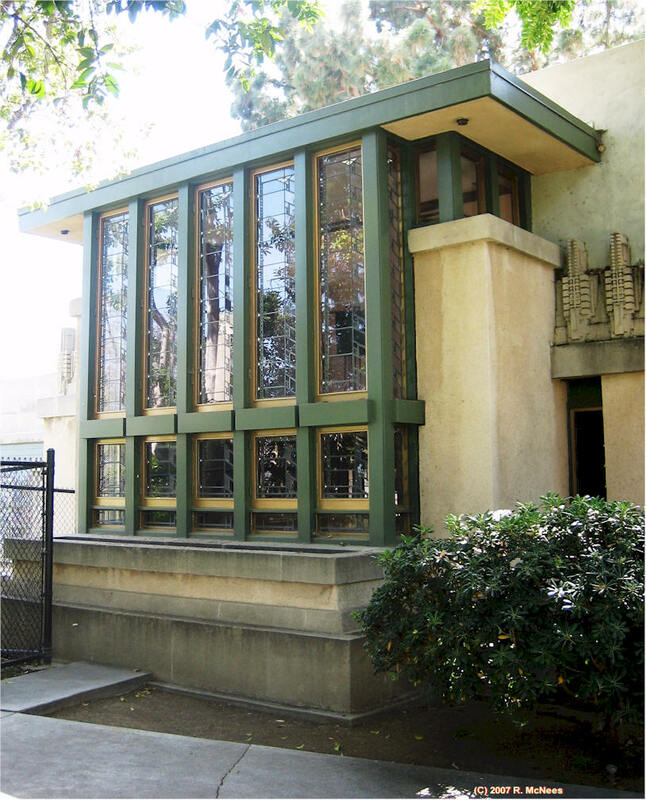 This collaboration between Frank Lloyd Wright and Aline Barnsdall during the period of 1915 and 1923 was unusual because it called for a rethinking of building types and challenged the “notions of house design, family life, and domesticity.” Hollyhock House was not designed for the private life of a family but rather as a centrepeice in a public garden, and a theatre complex. 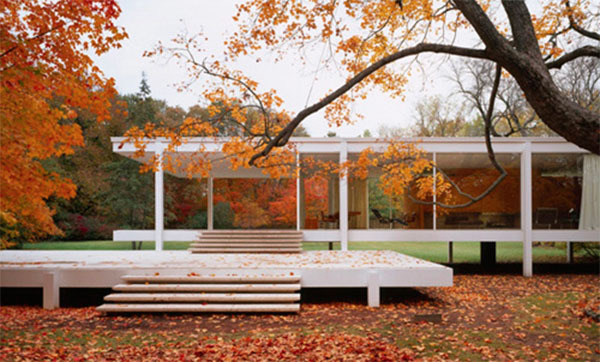 This freed up architect and client to push the boundaries of architecture including the experiences of monumental form, theatricality, and how the house framed the landscape. The hollyhock is used as a central theme to the house, with many symmetrical decorations adapting the plant’s general appearance. Planters are decorated with the motif and filled with the plants themselves, and Wright’s stained glass windows feature a highly-stylized hollyhock pattern. All photos are from Alice T. Friedman’s book, or as noted by Rick McNees. 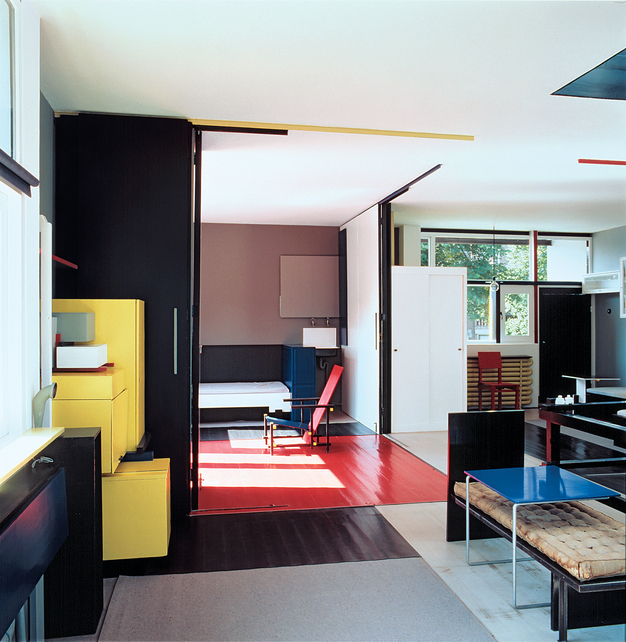 Why were independent female clients such powerful catalysts for innovation in the modern house? 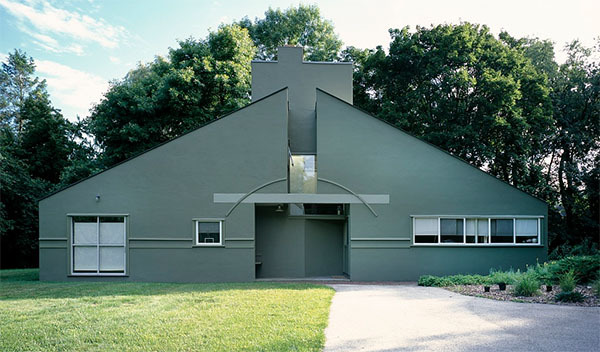 Women and the Making of the Modern House, written by Alice T. Friedman, is a thought-provoking book that answers this question by exploring two seemingly unrelated topics: gender roles, and architecture. Specifically, the book focuses on 6 innovative projects, involving female clients and well-known architects. These projects are the best-known examples of unprecedented architecture that had female clientele at the forefront of each project’s innovation. 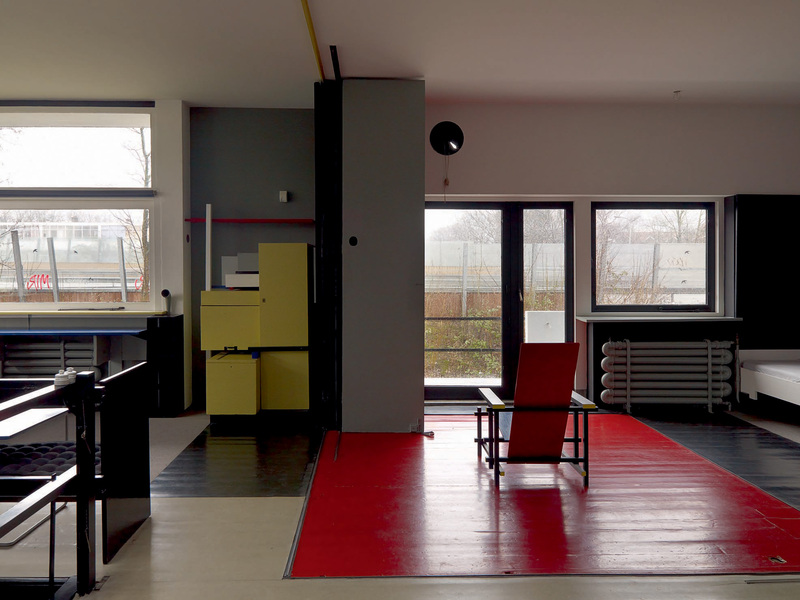 It combines social and architectural history to investigate the roles played by both the architects and the clients, and explores the processes of collaboration and negotiation through which decisions about program and design were made. 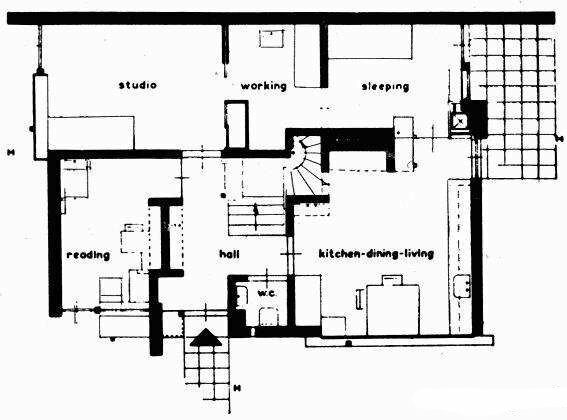 A conviction shared by modern architects and their women clients was that the essence of modernity was the complete alteration of the home – its construction, materials, and interior space. 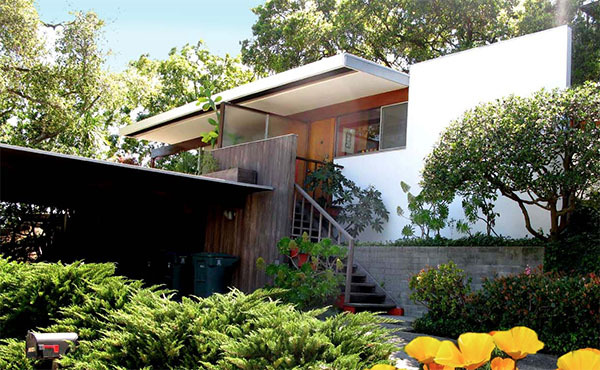 Stay tuned to learn more about these houses and how their women patrons of architecture were catalysts for innovation. Hello! I’m Tina Welcome to my blog, a place for me to share my discoveries. 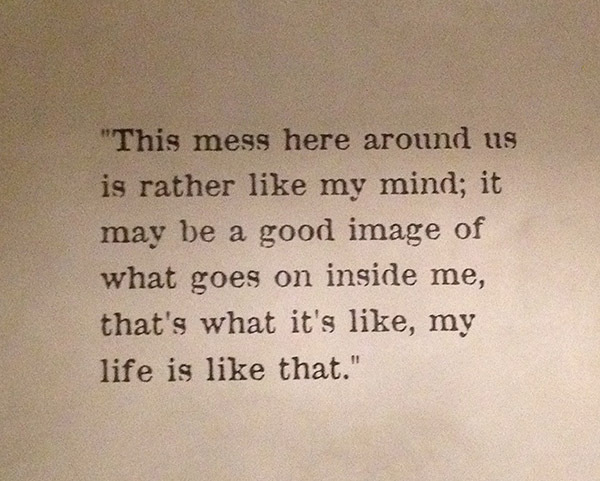 I'm an architect, designer, artist, parent, and devout urbanist, who is always looking for the beauty in the everyday. 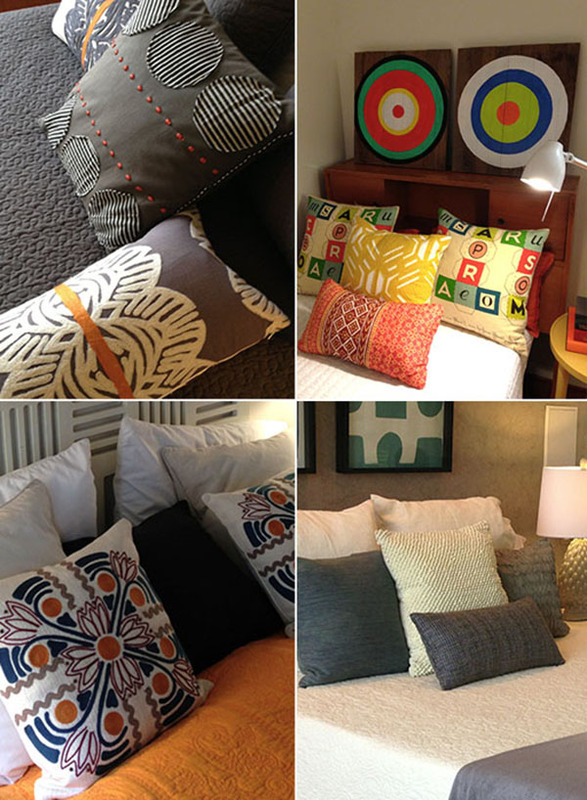 I'm keenly interested in design, architecture, style and people. I live with my family in Vancouver.